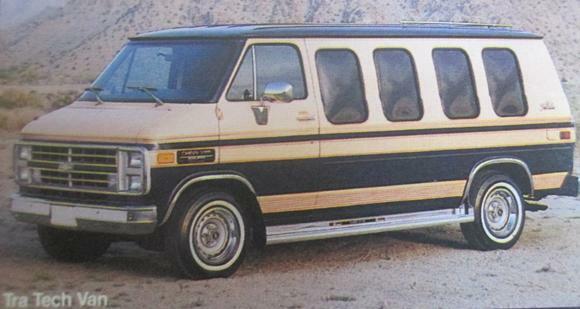 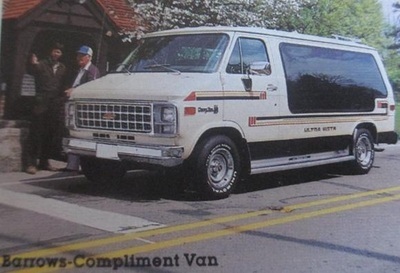 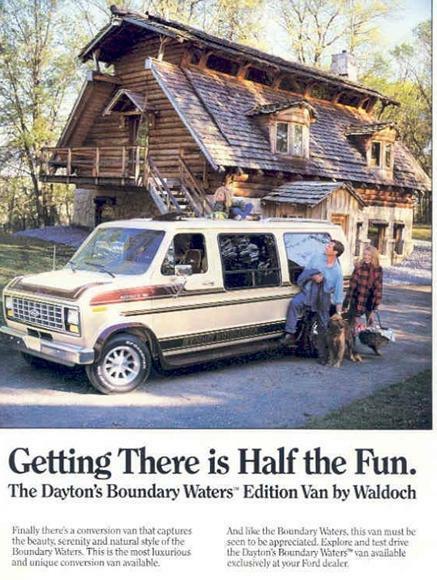 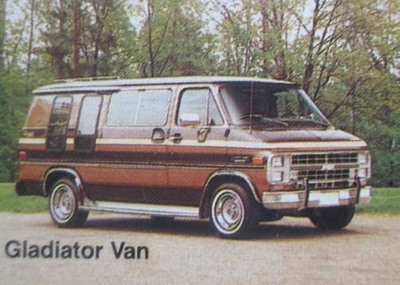 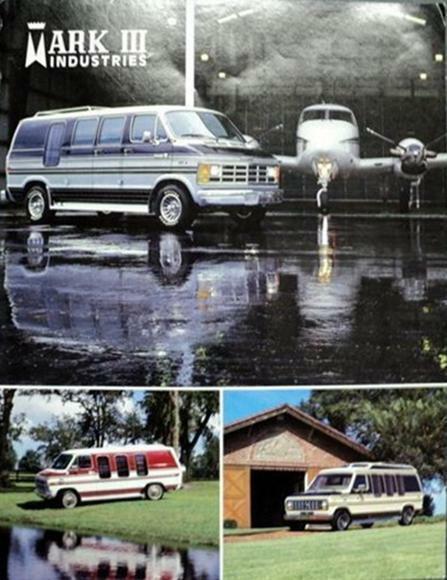 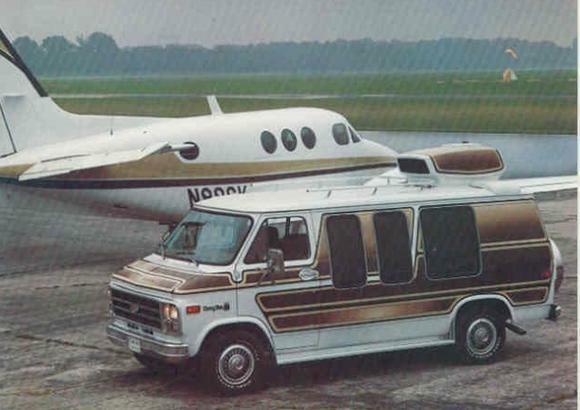 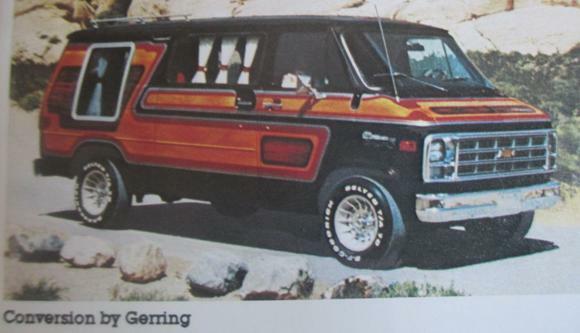 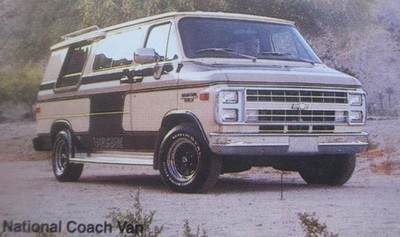 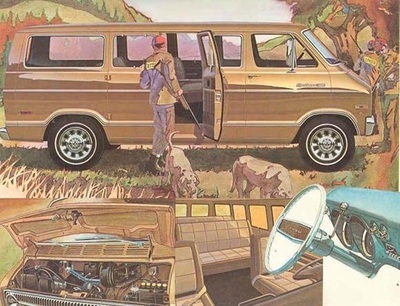 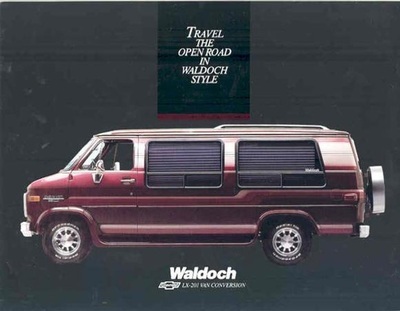 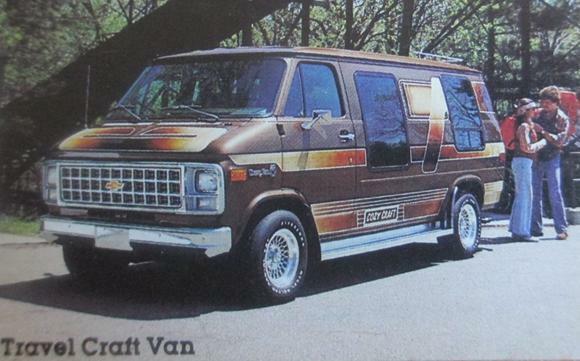 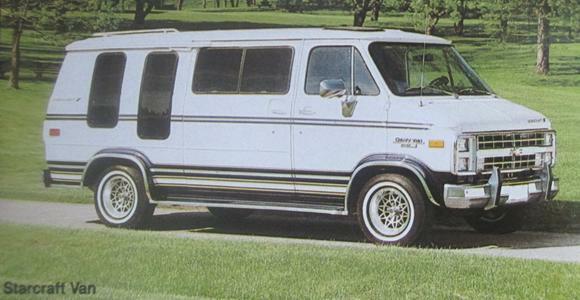 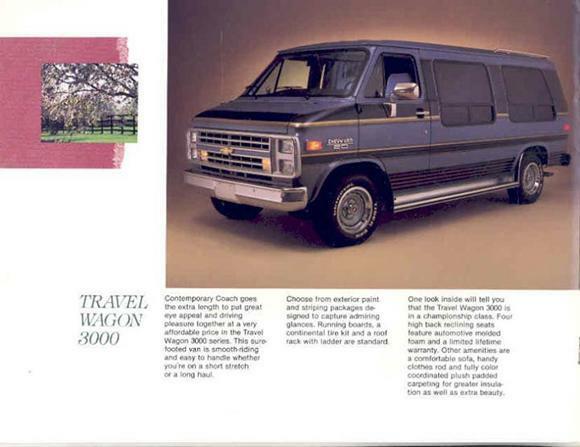 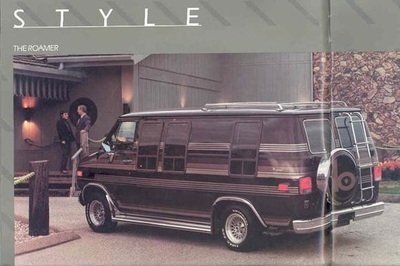 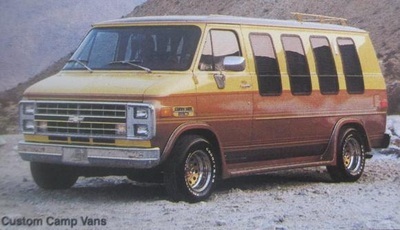 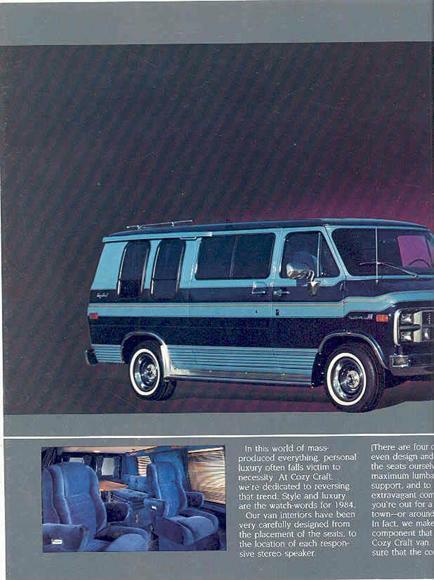 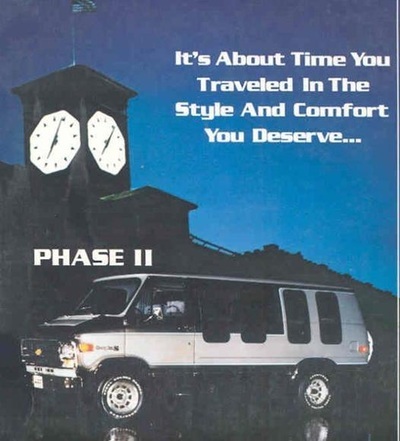 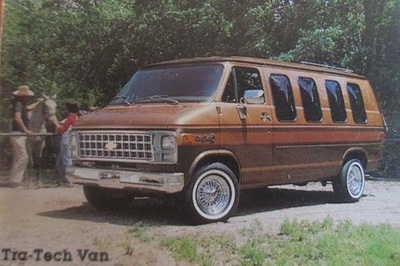 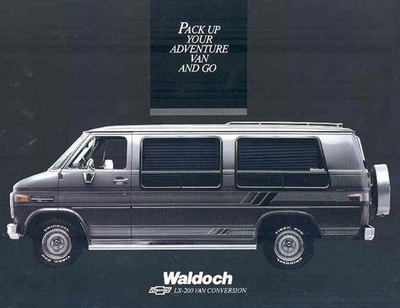 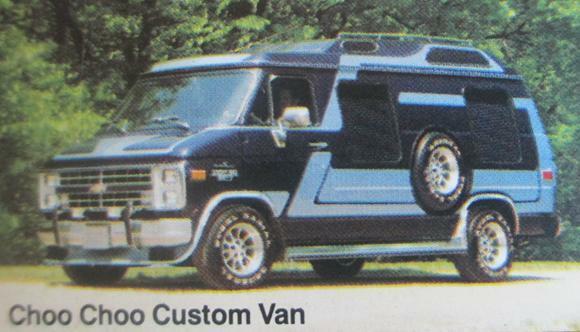 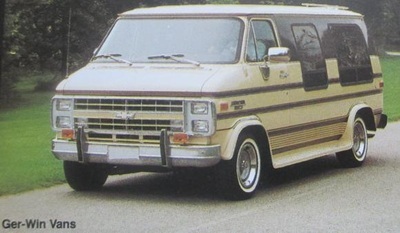 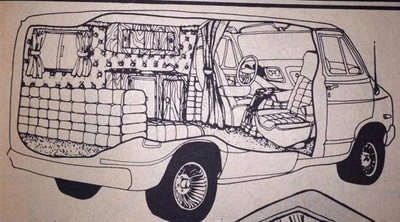 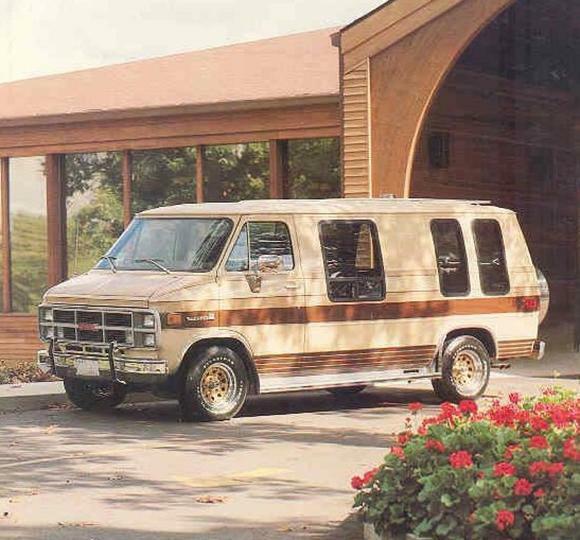 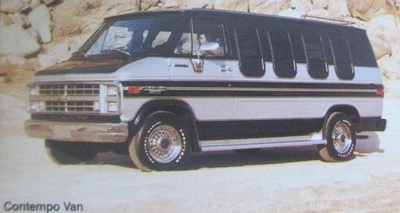 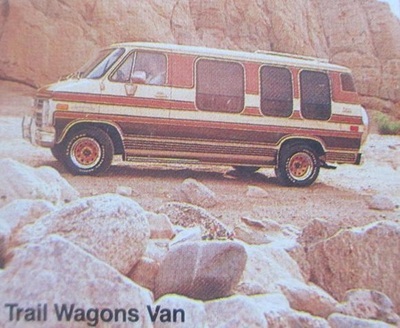 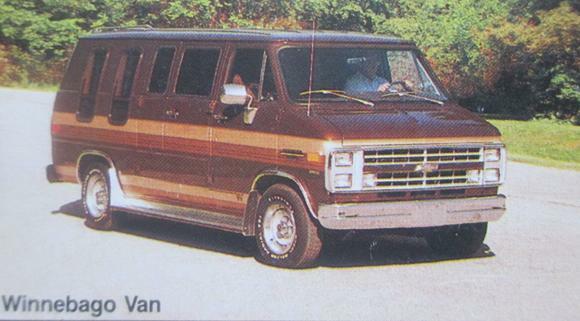 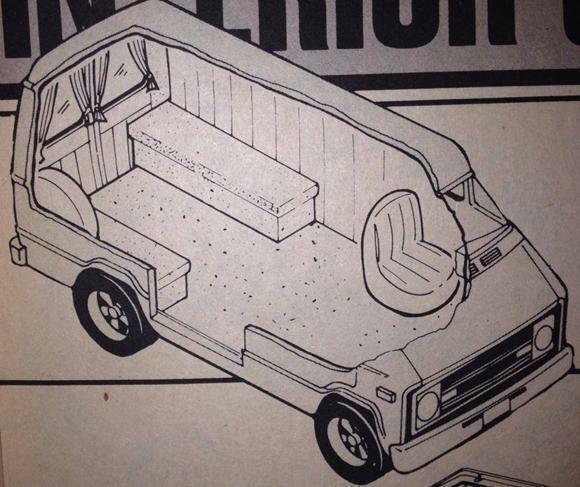 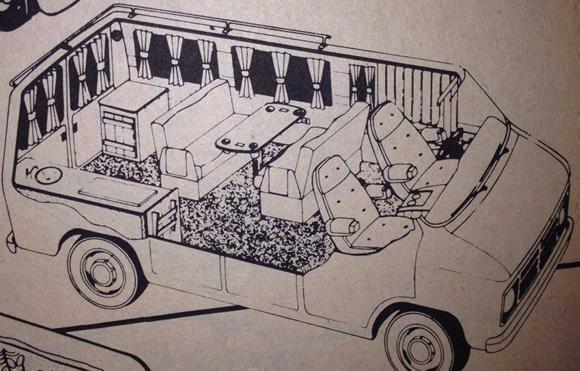 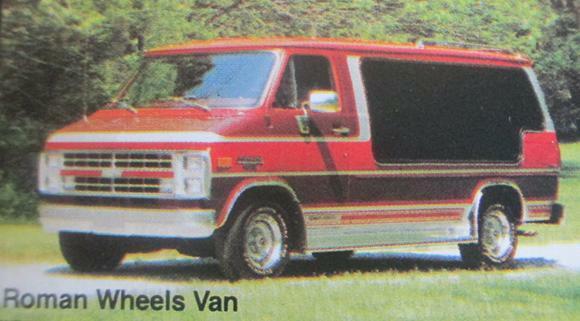 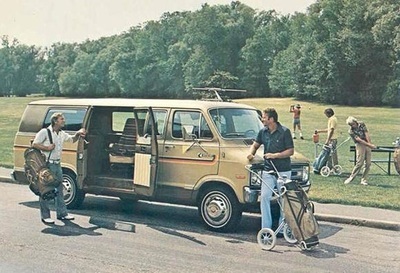 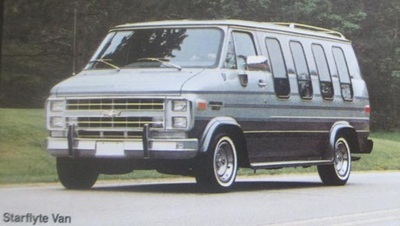 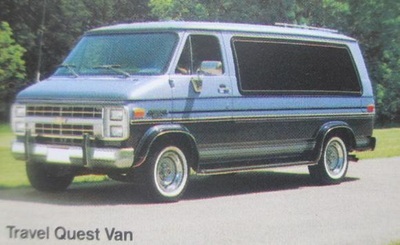 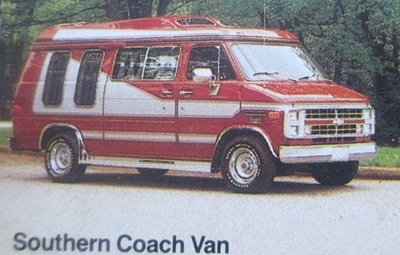 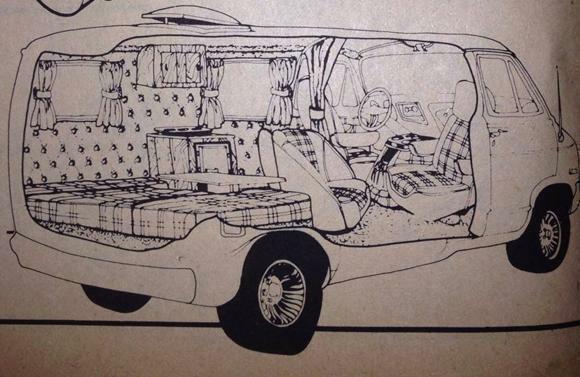 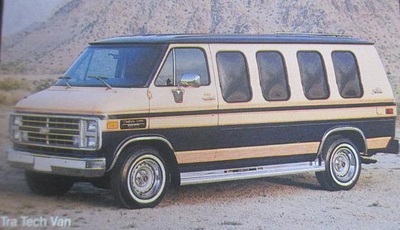 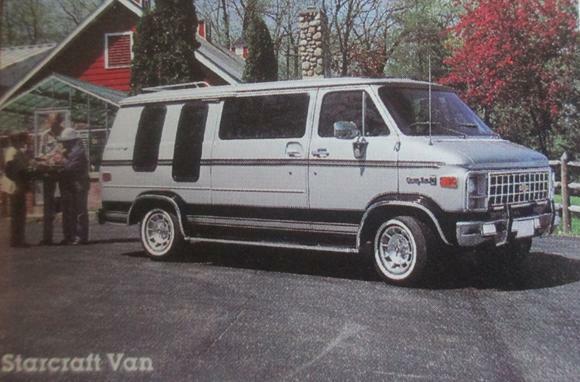 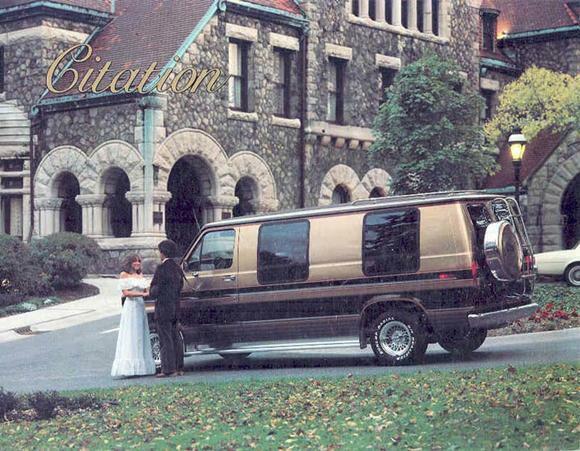 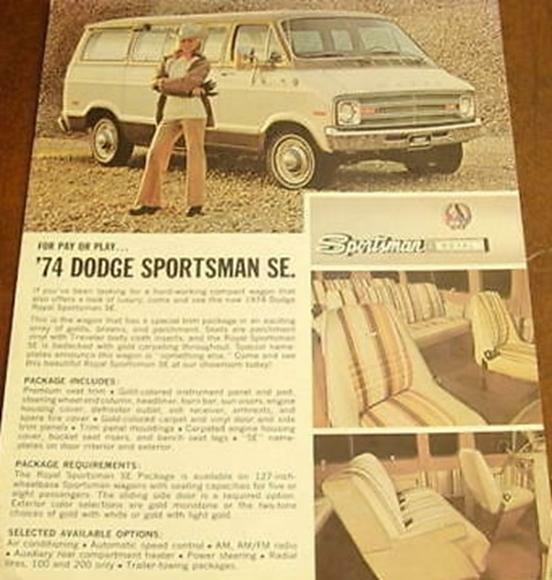 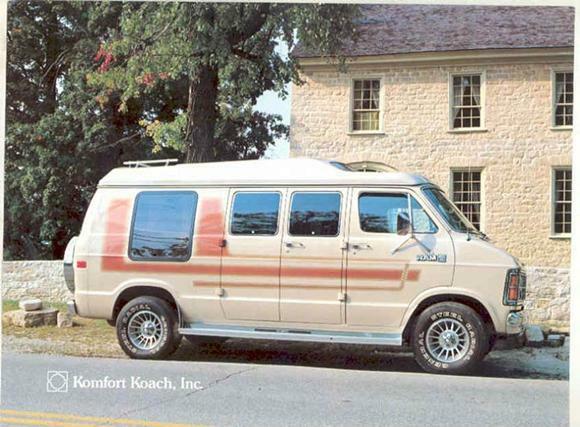 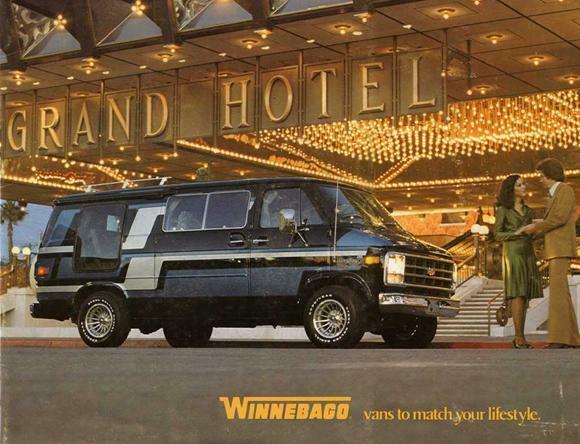 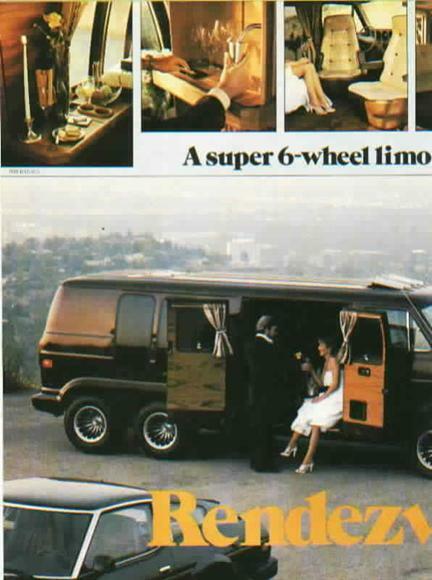 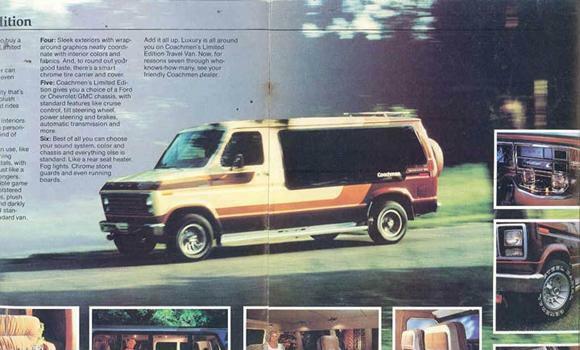 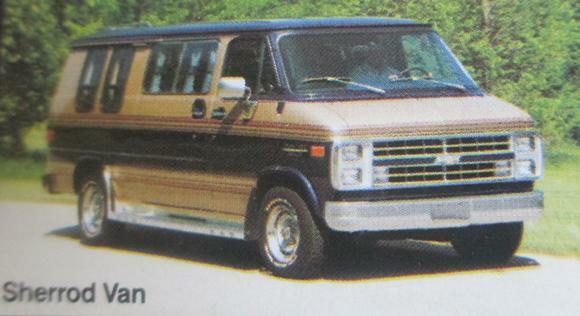 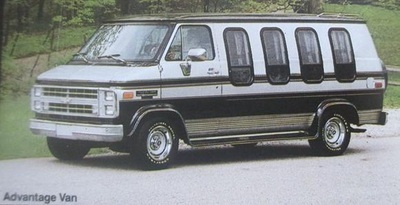 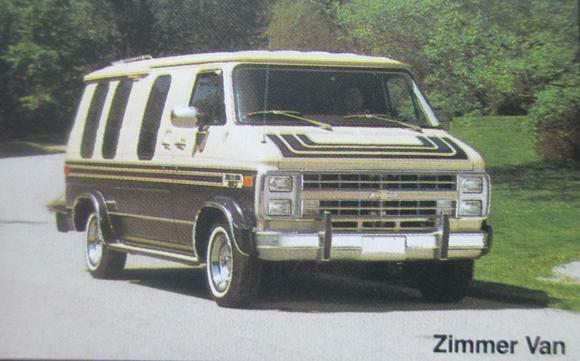 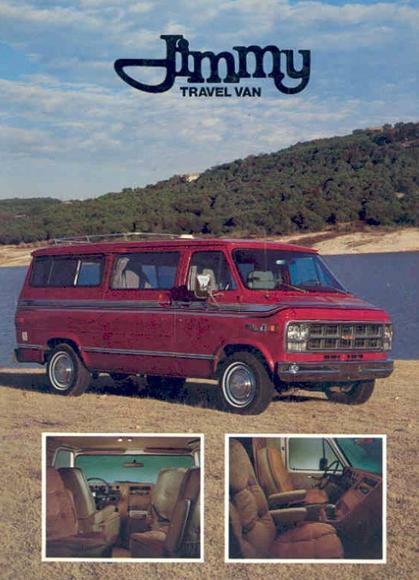 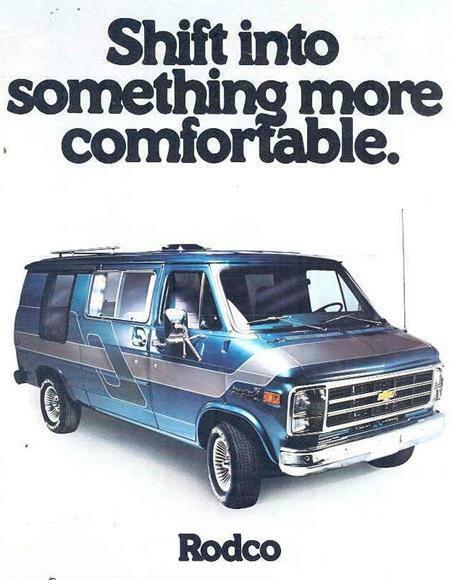 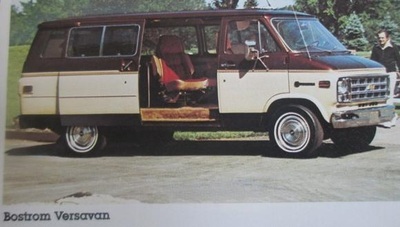 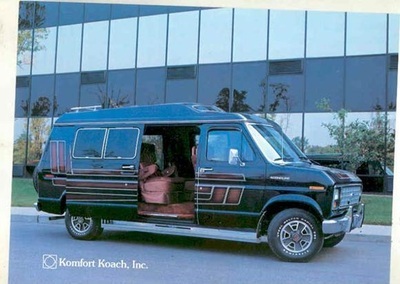 Van conversions means comfort, convenience, and styling. 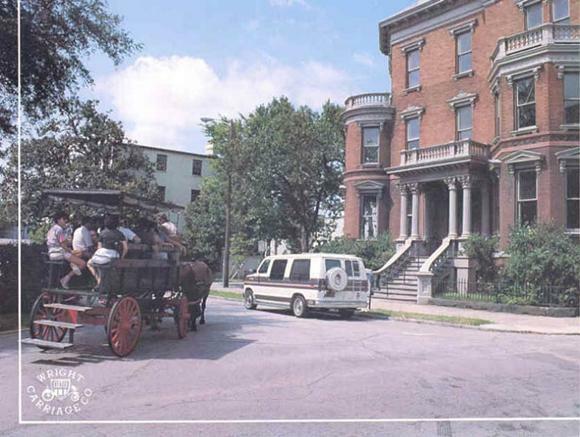 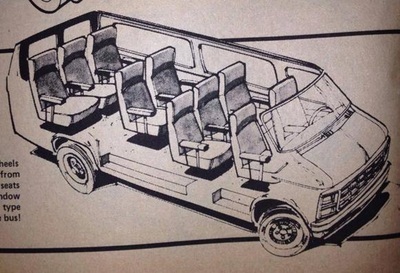 Designed for the transportation of people and/ or property and altered by the manufacturer for aesthetic or decorative purposes. 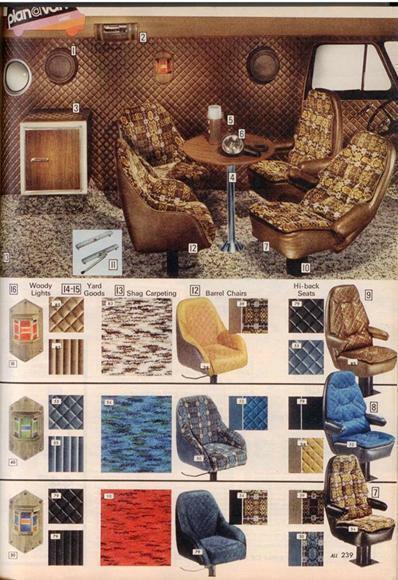 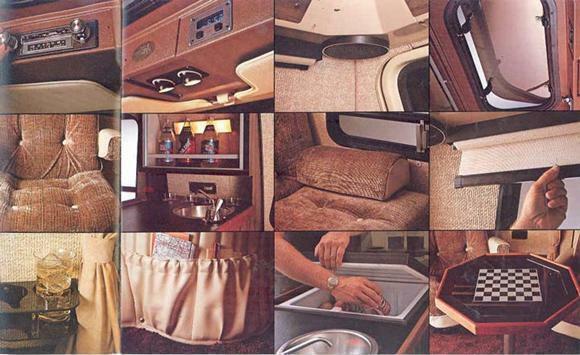 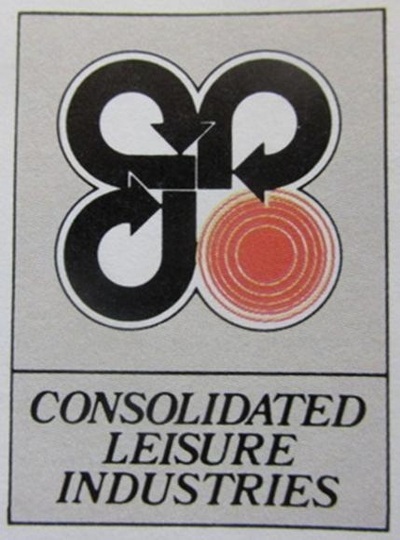 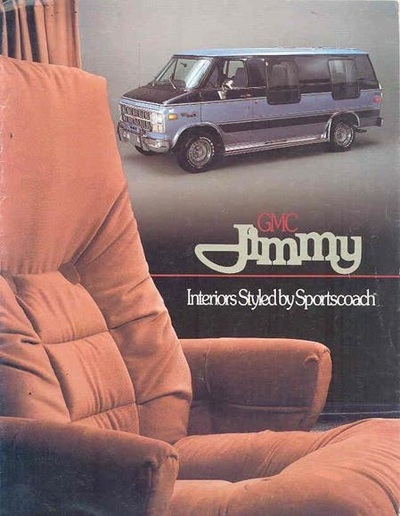 These changes may include windows, carpeting, paneling, seats, sofas, and accessories. 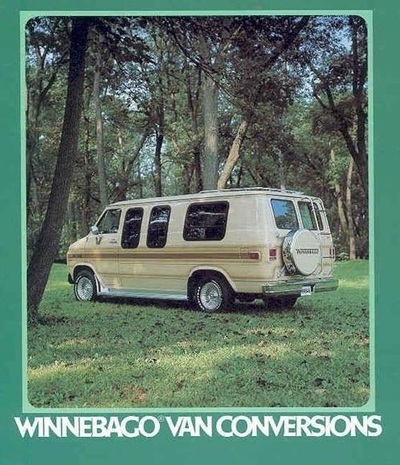 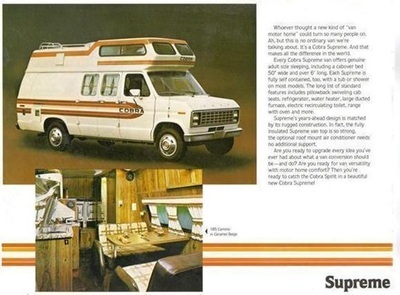 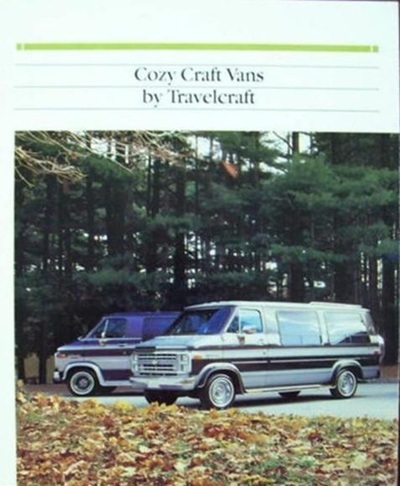 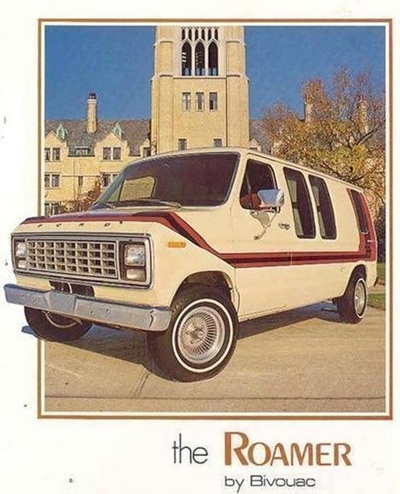 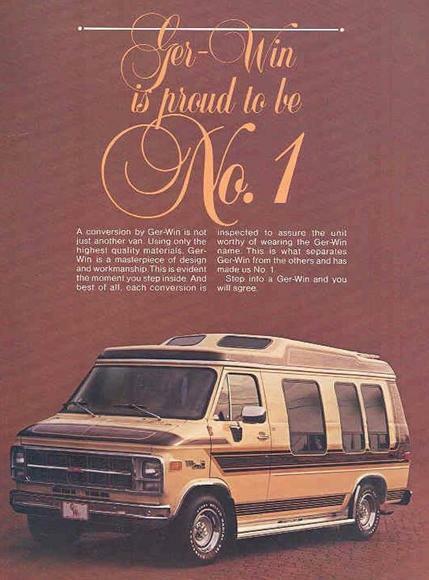 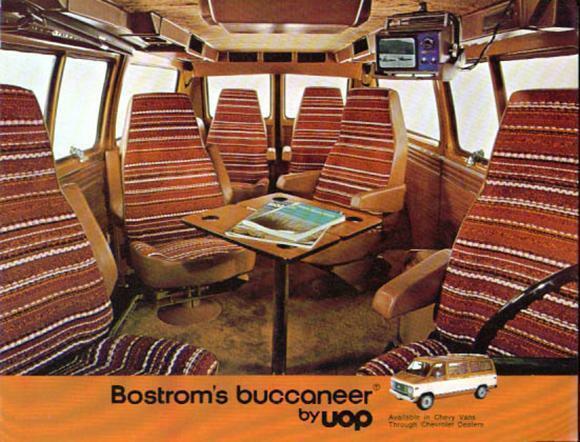 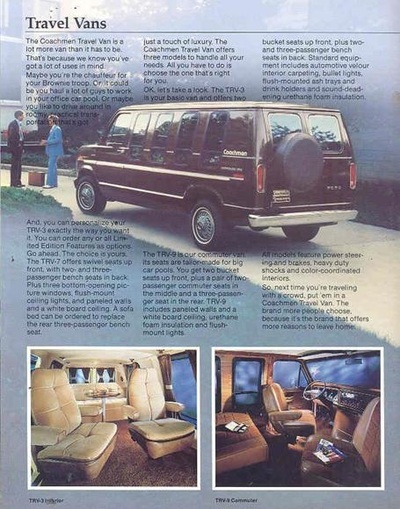 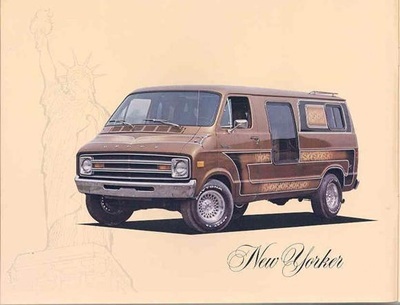 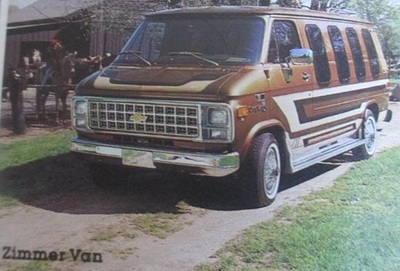 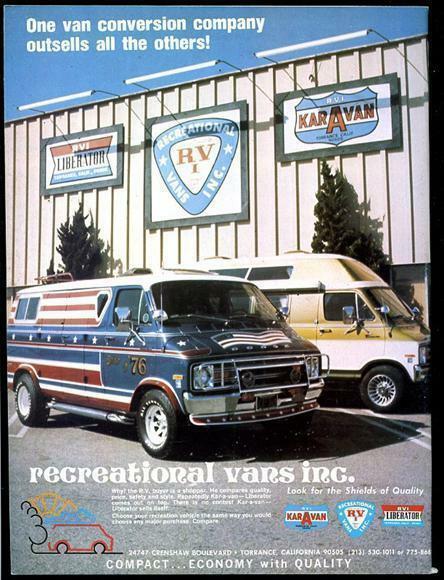 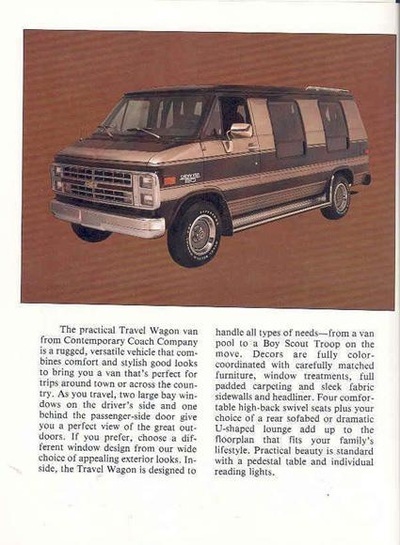 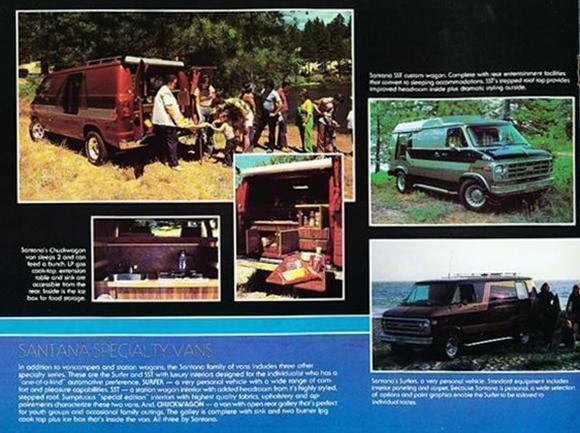 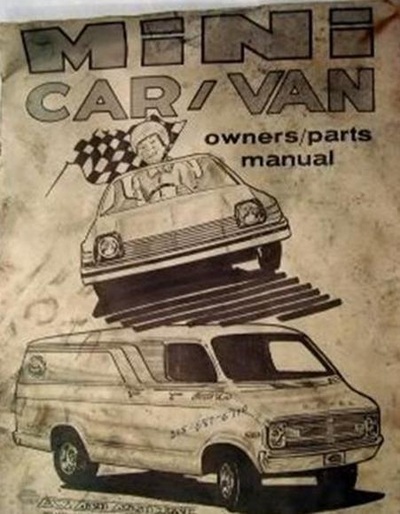 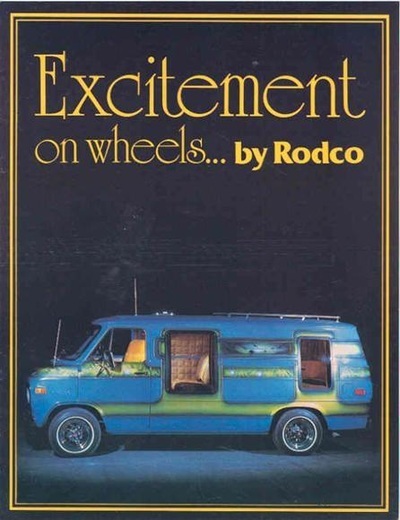 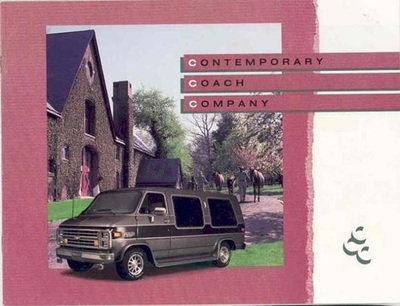 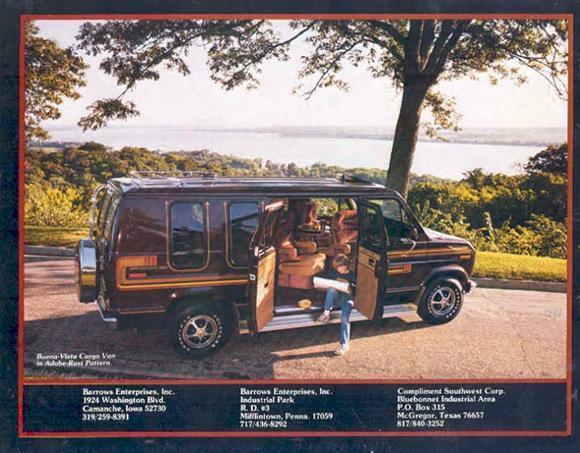 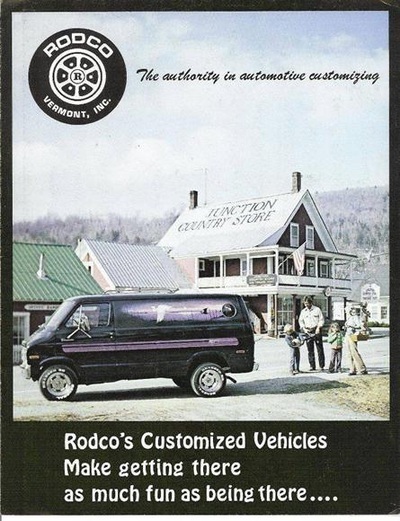 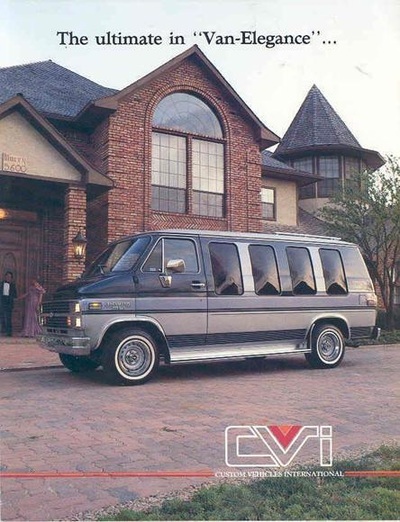 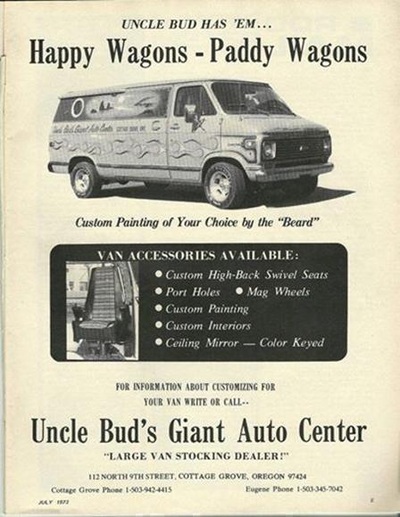 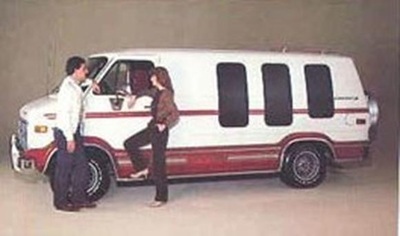 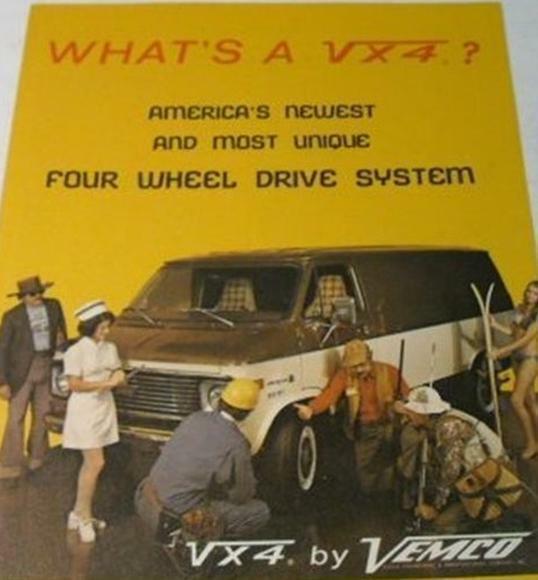 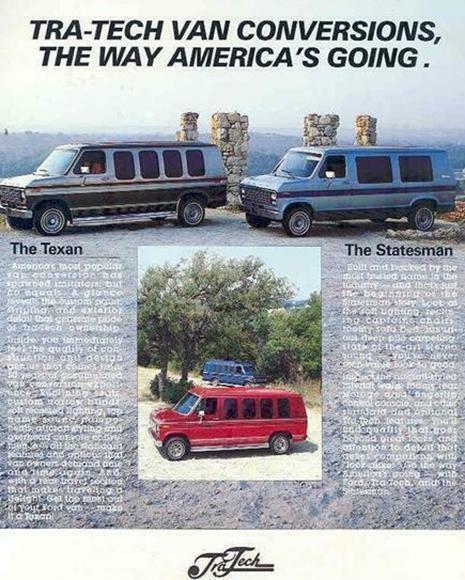 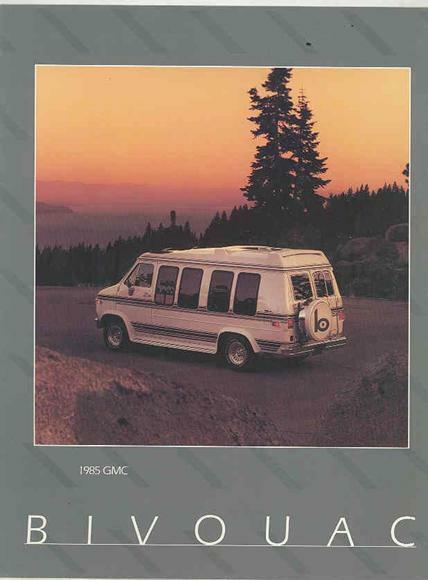 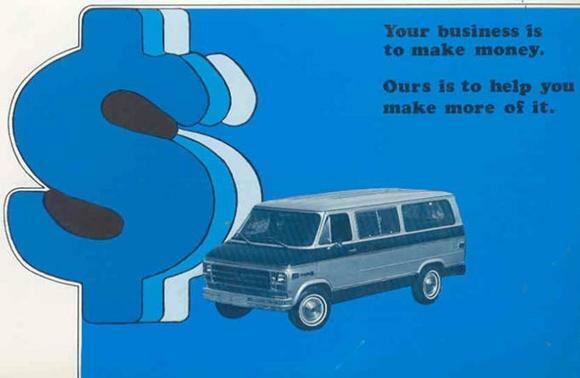 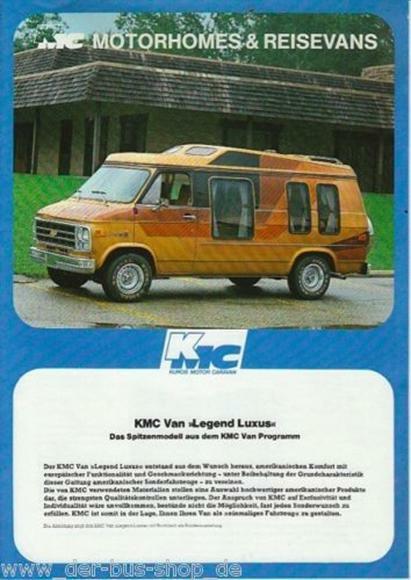 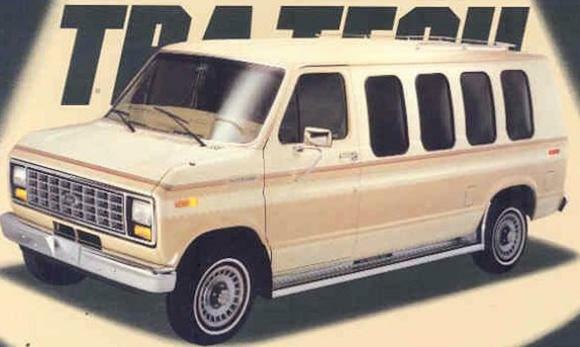 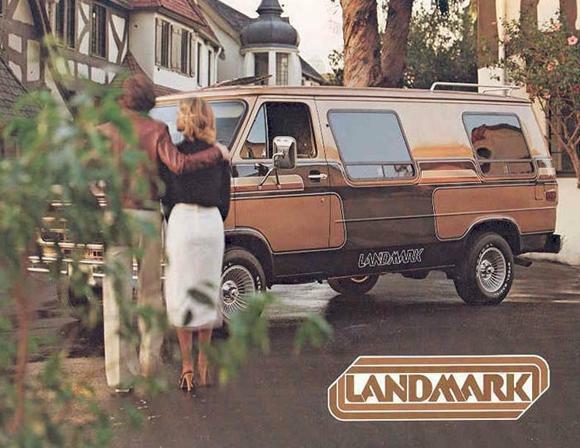 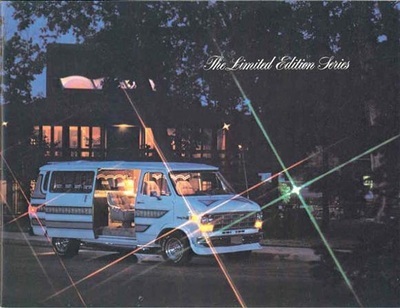 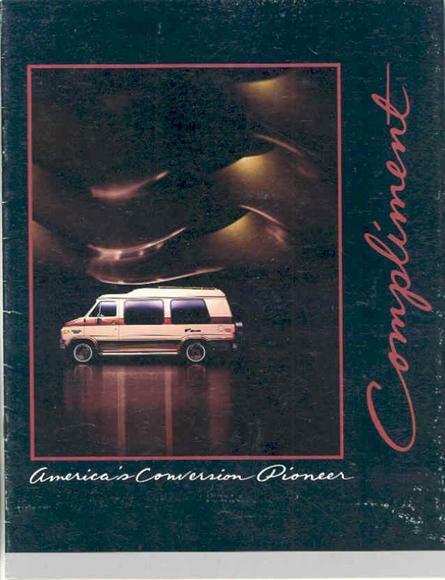 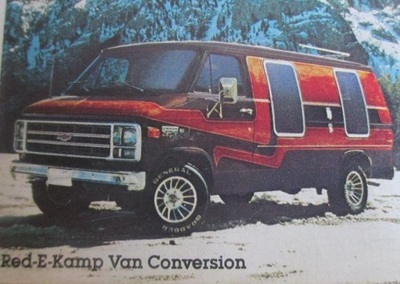 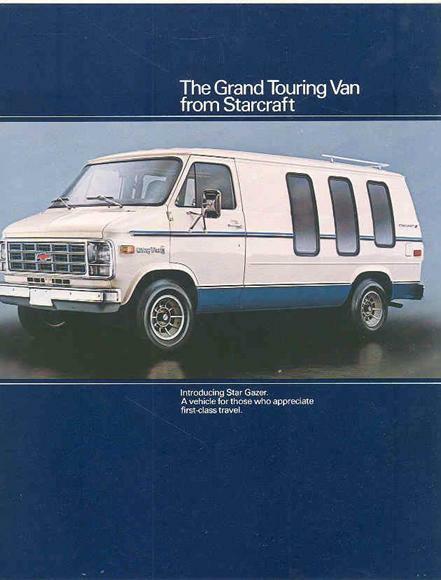 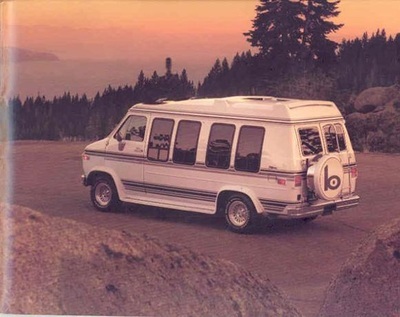 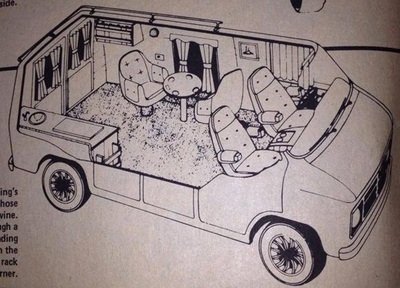 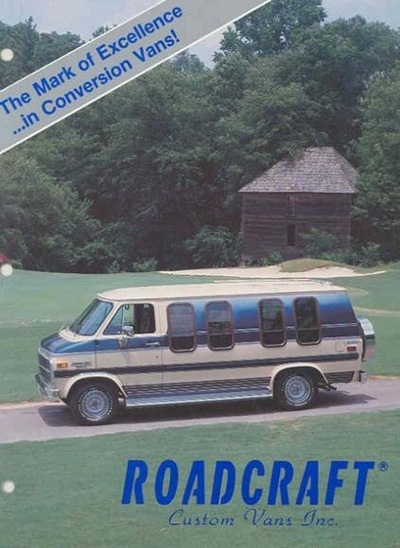 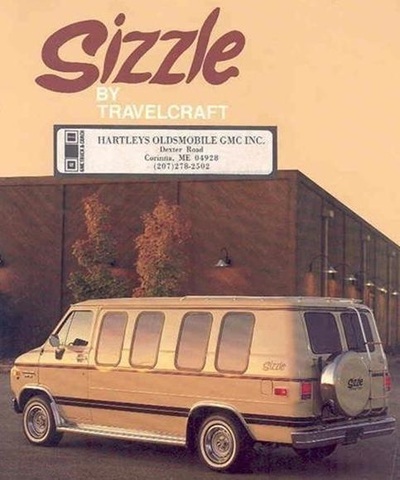 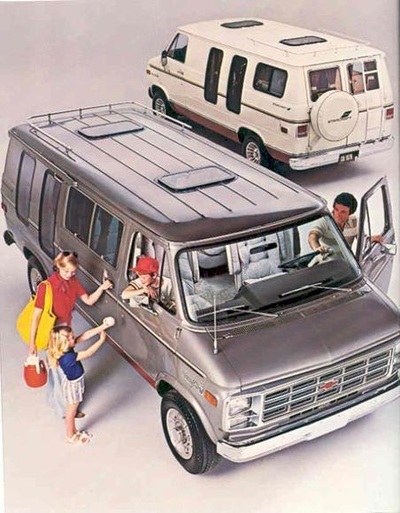 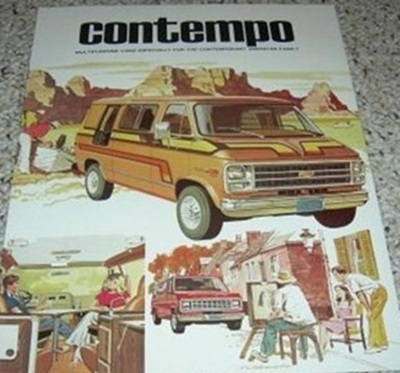 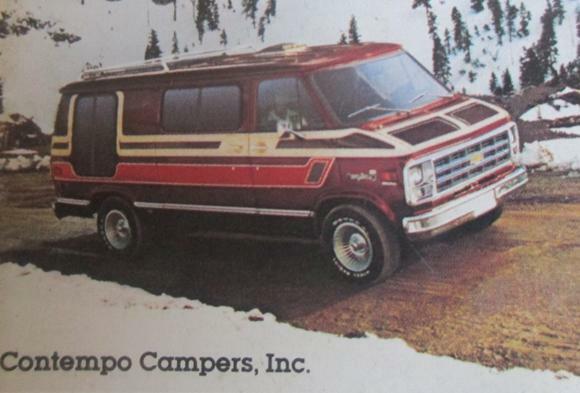 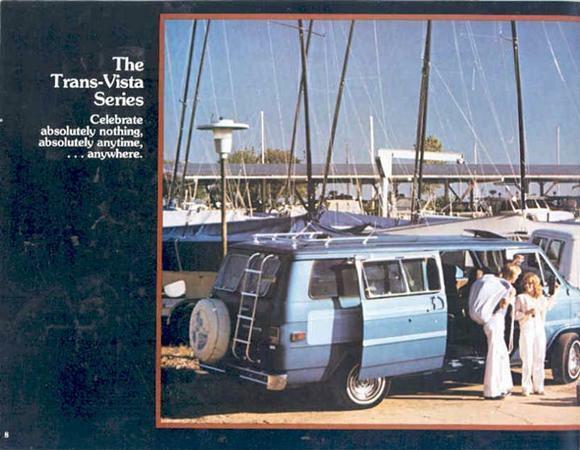 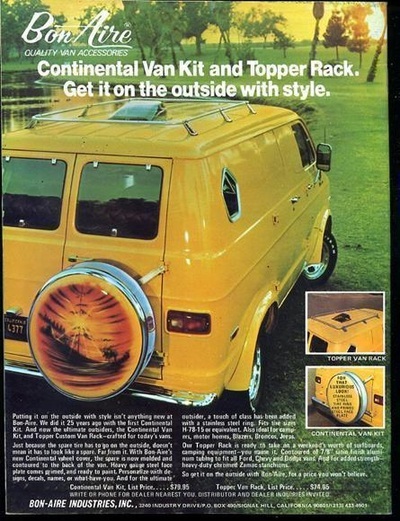 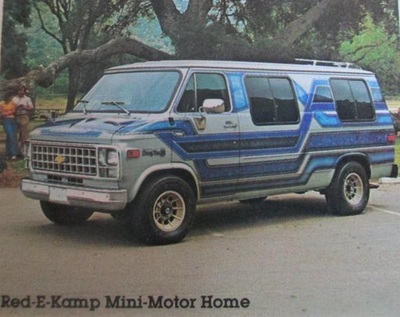 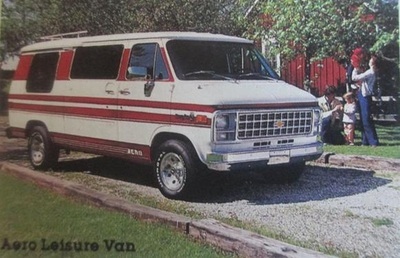 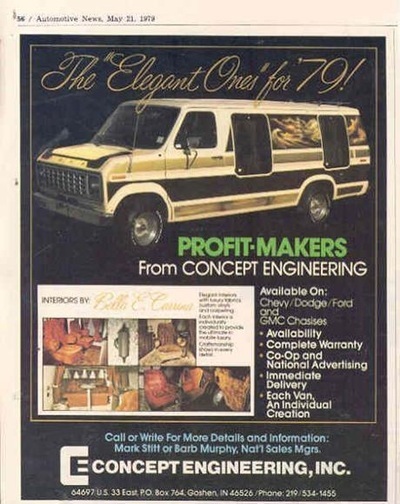 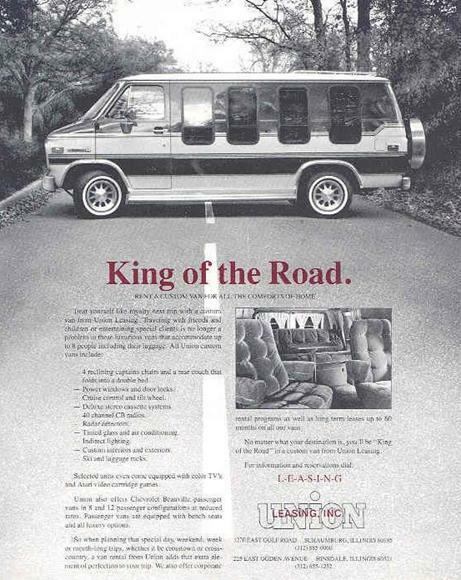 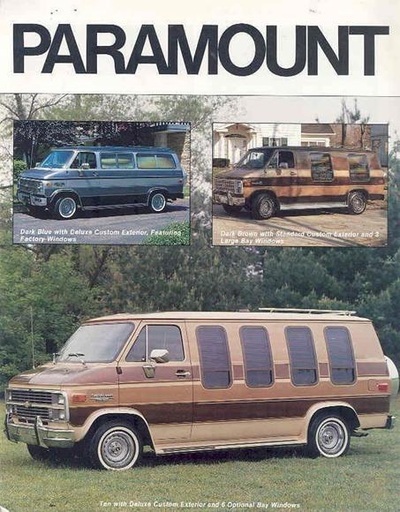 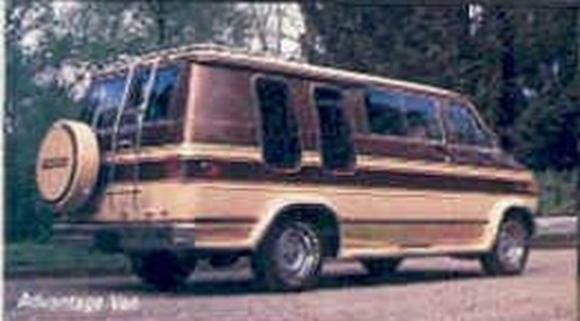 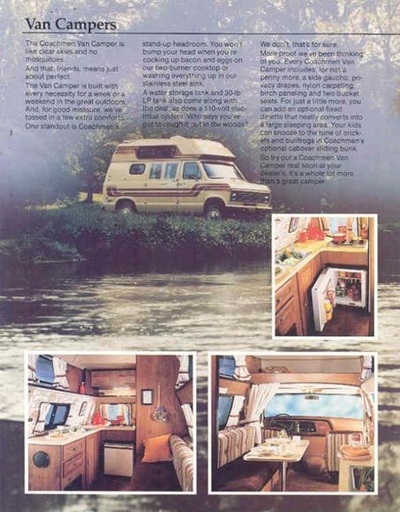 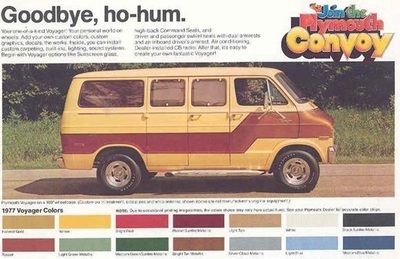 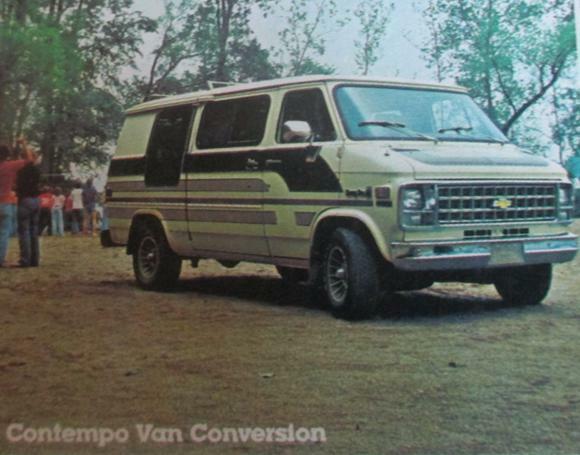 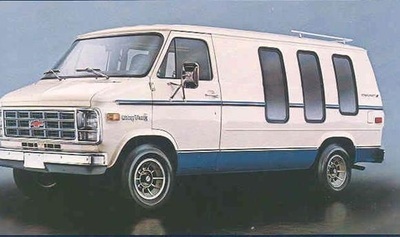 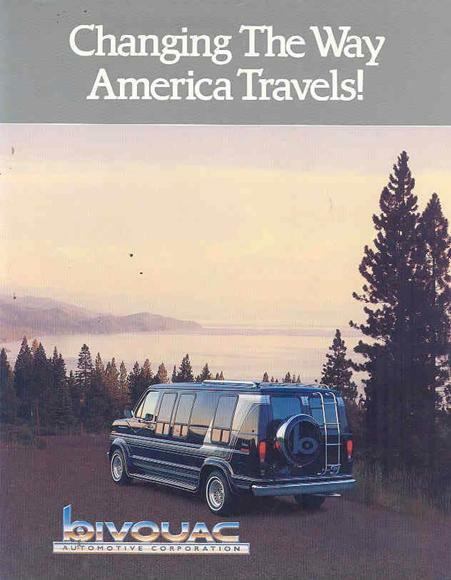 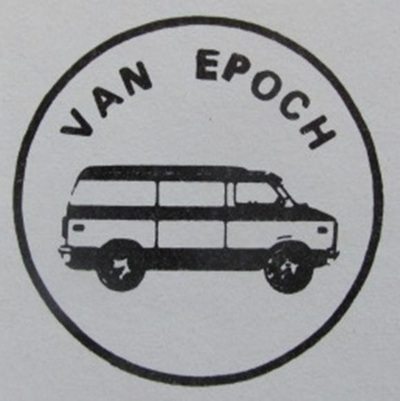 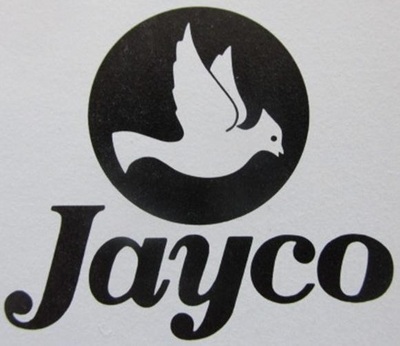 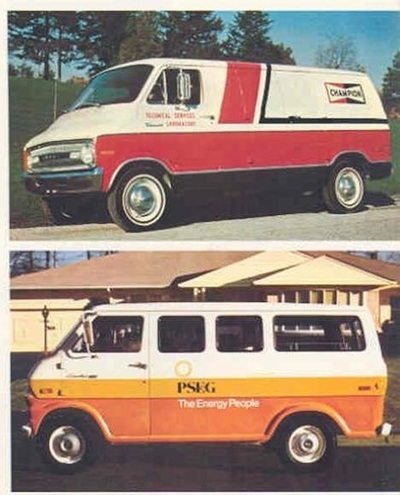 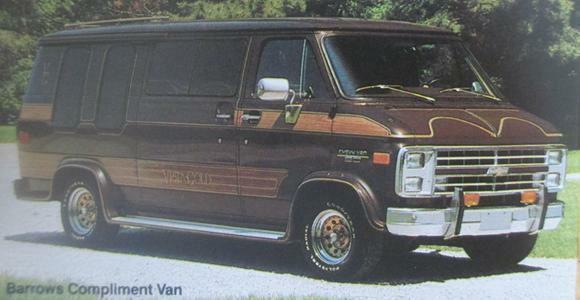 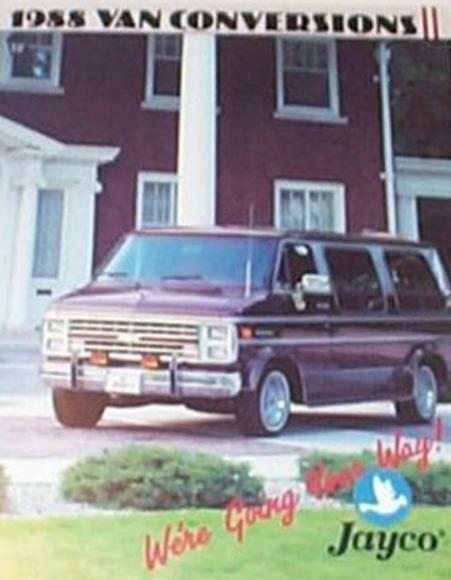 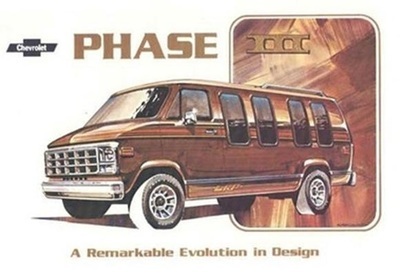 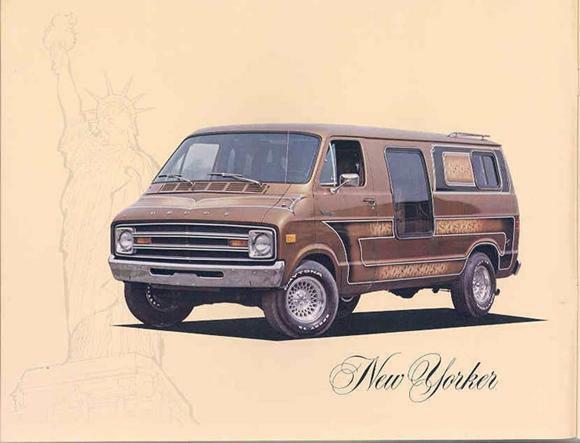 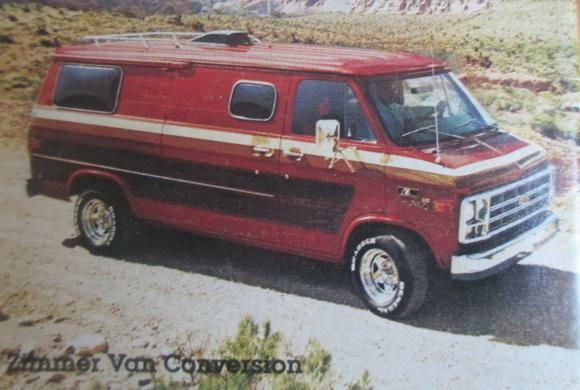 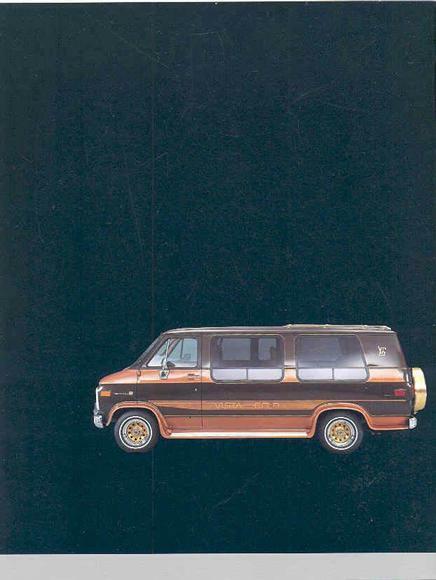 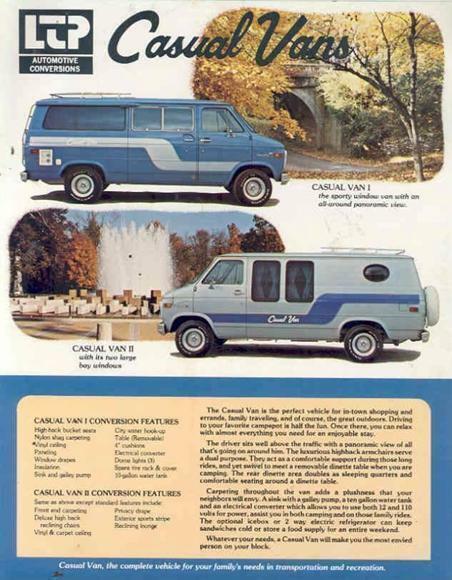 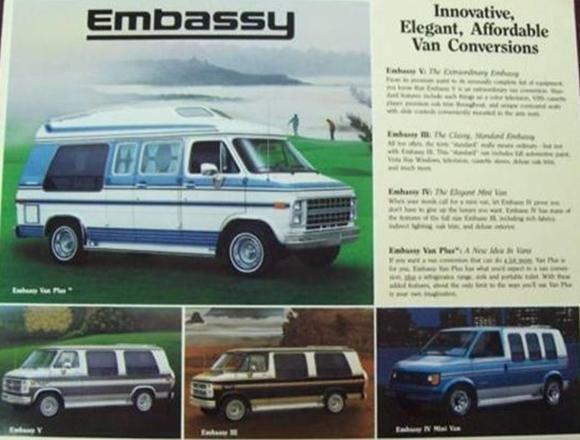 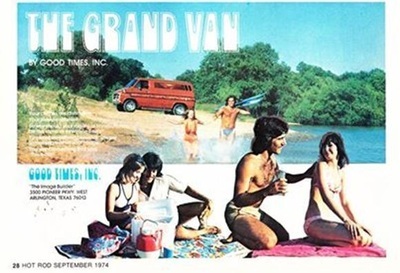 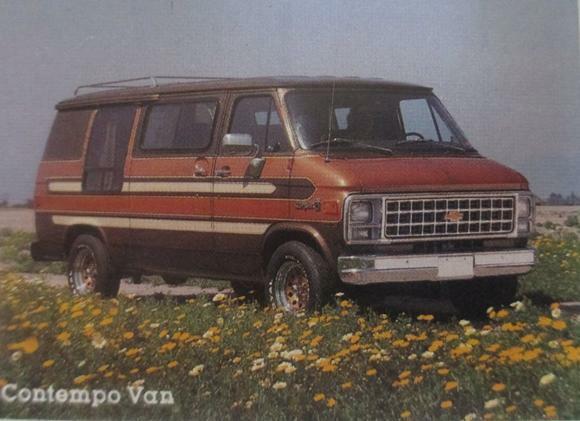 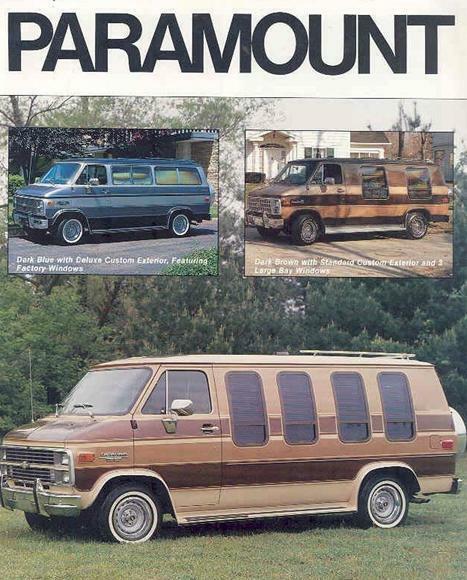 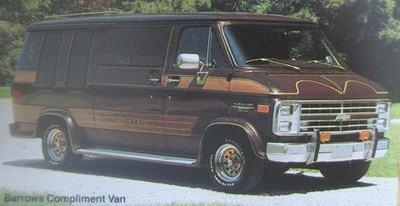 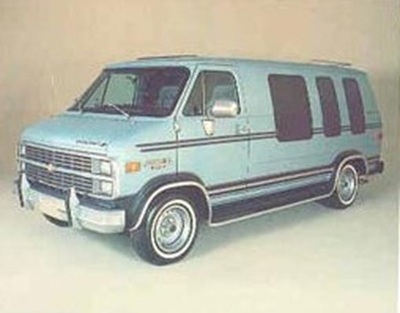 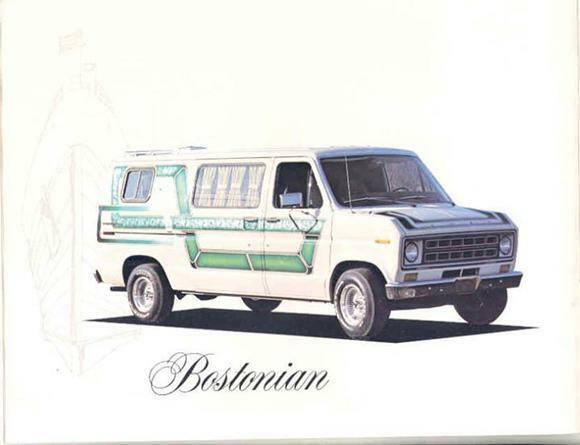 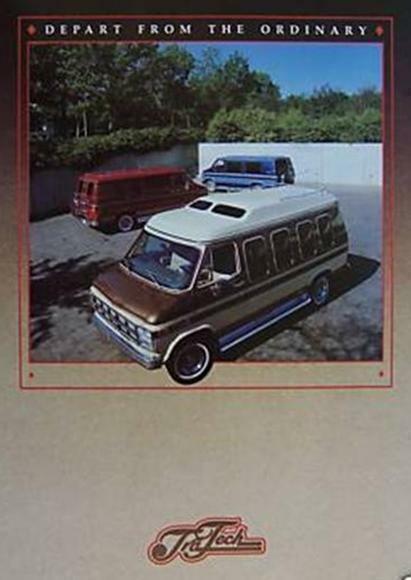 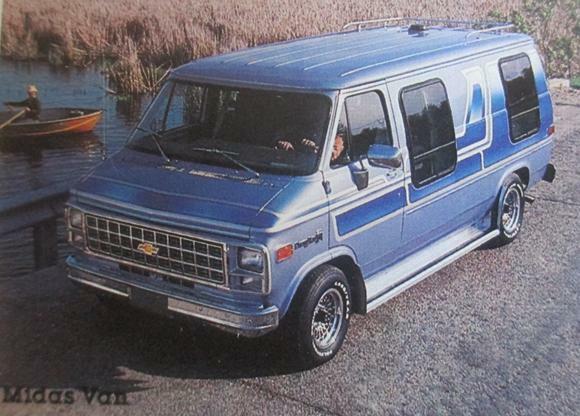 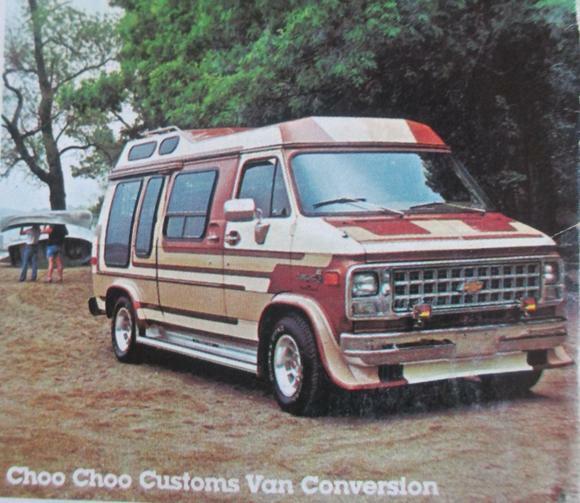 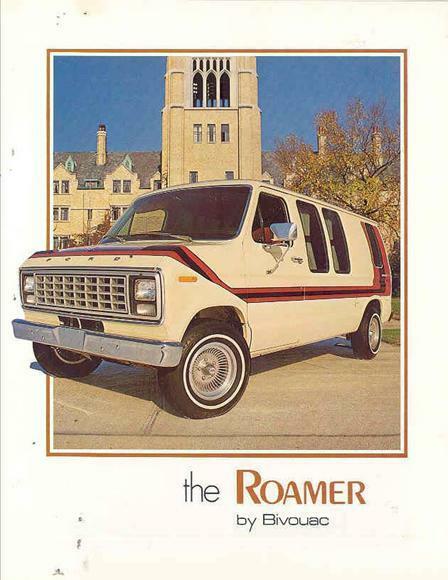 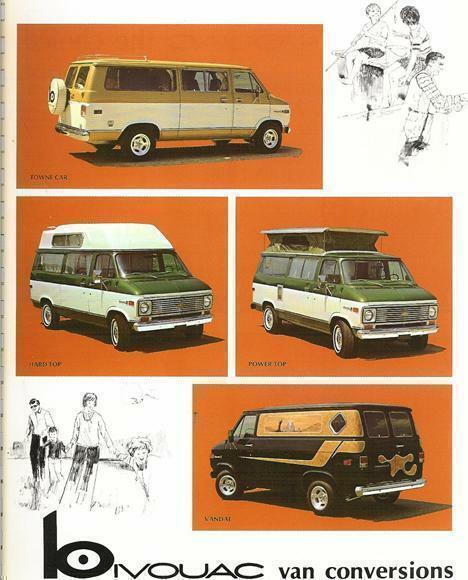 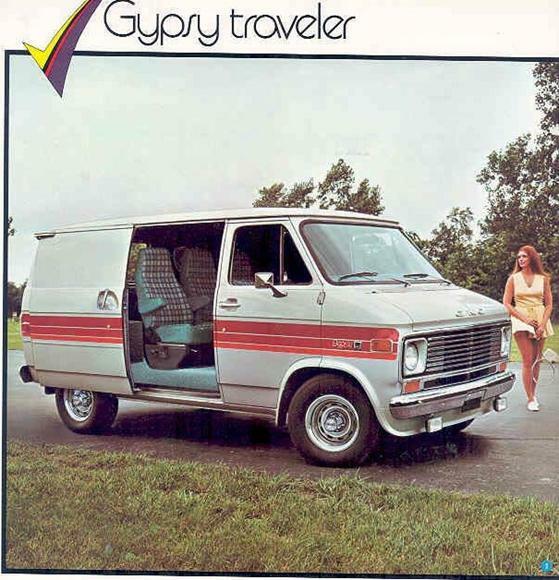 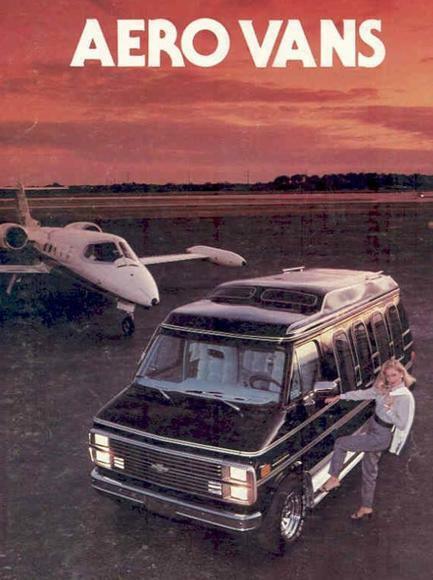 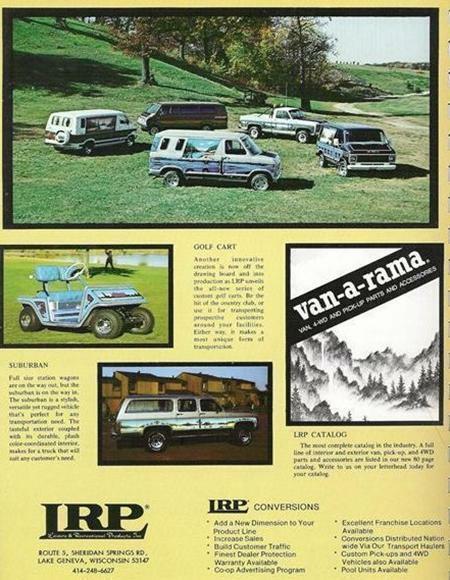 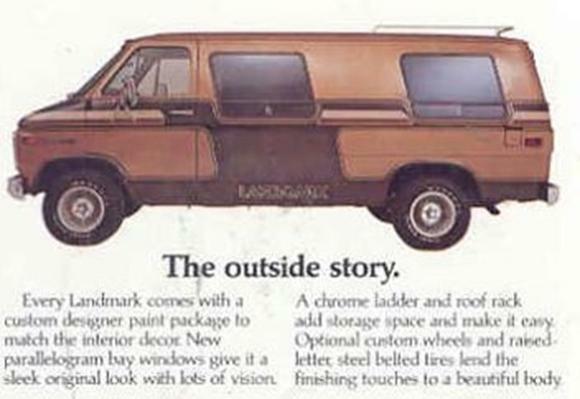 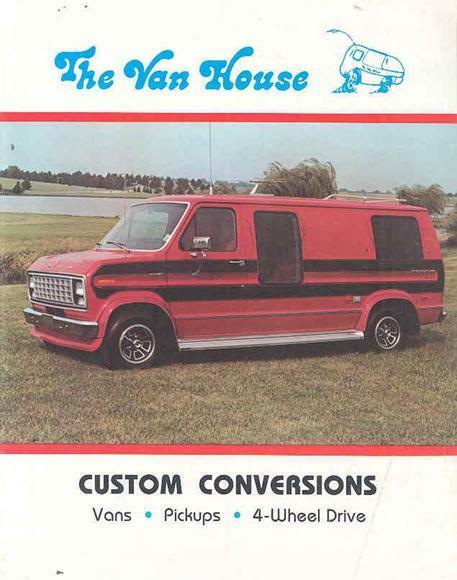 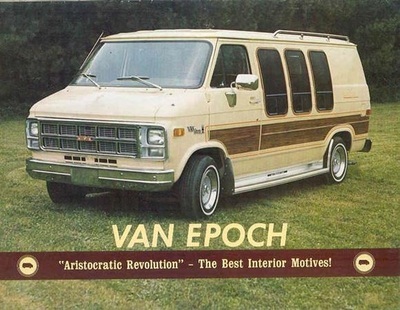 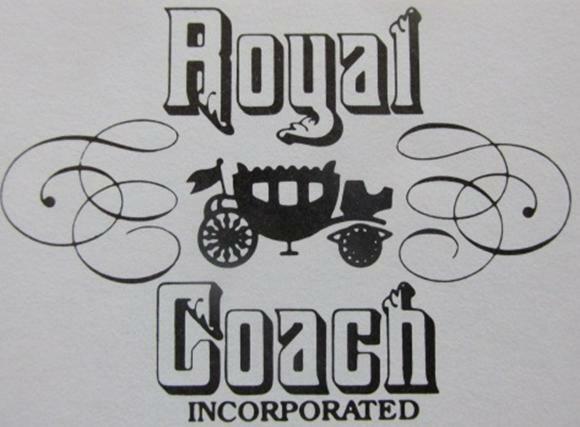 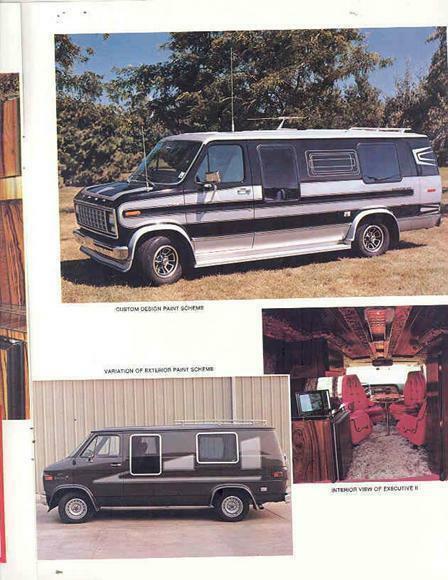 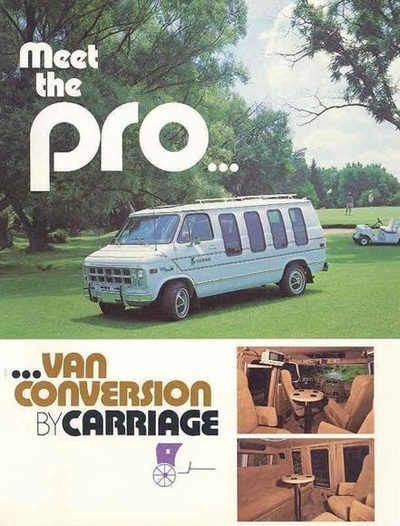 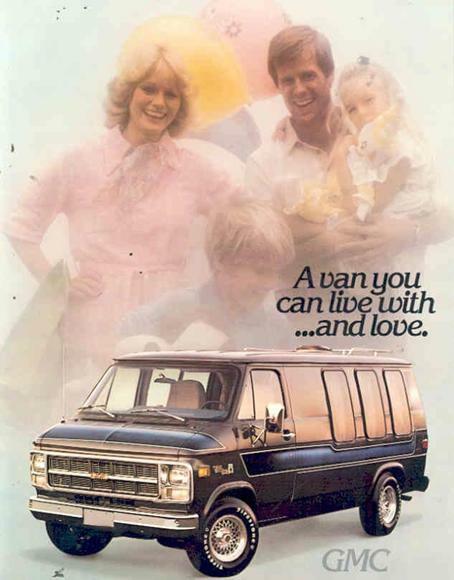 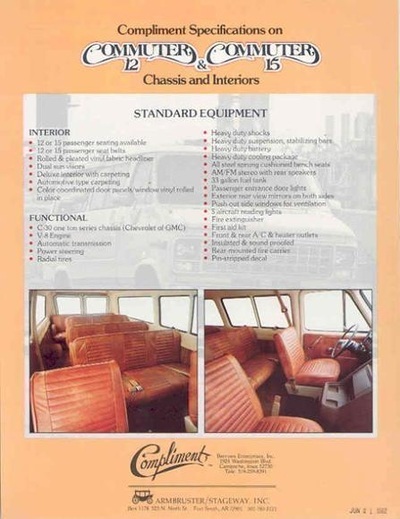 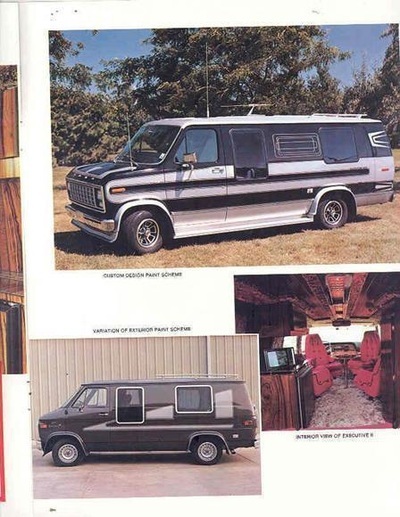 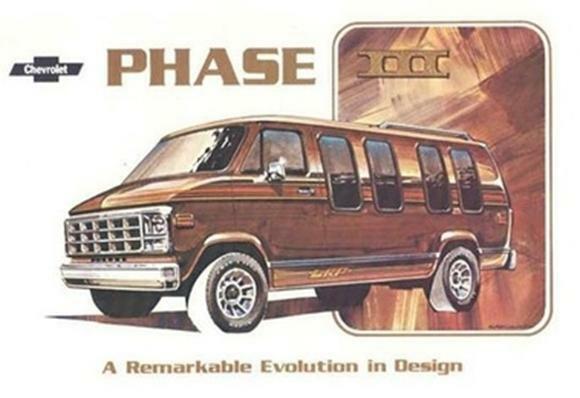 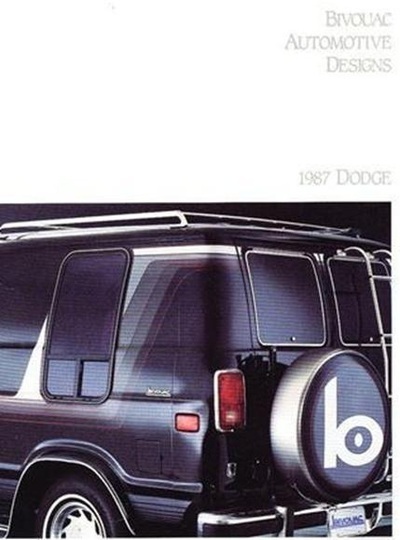 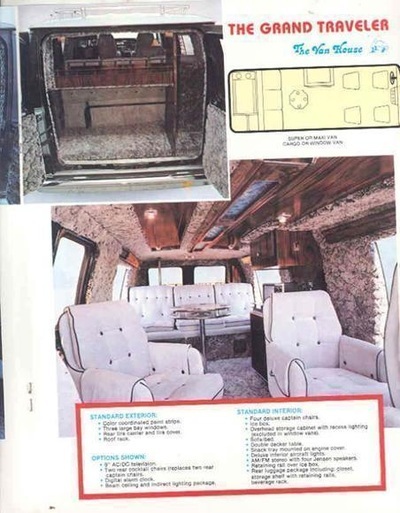 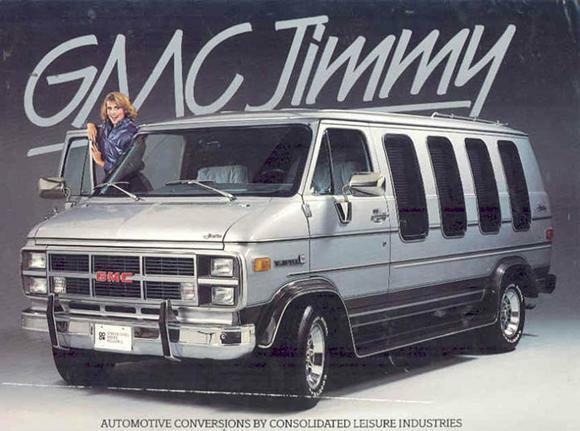 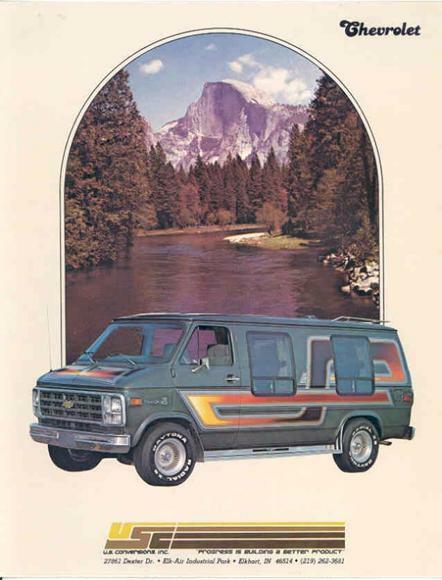 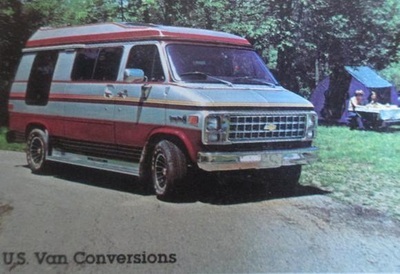 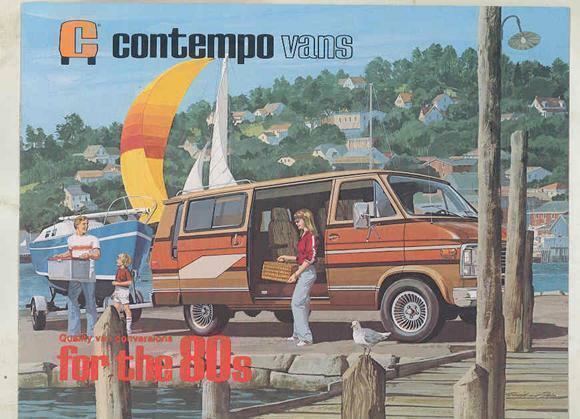 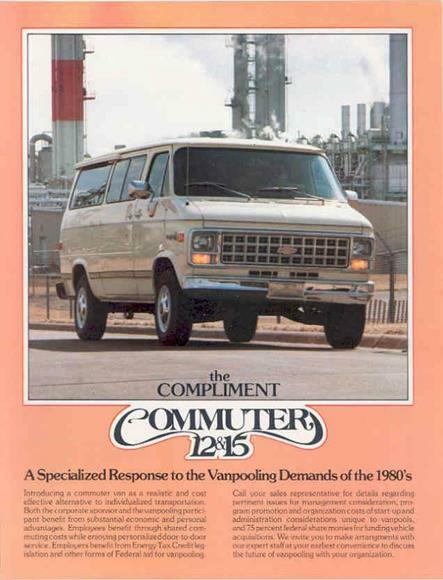 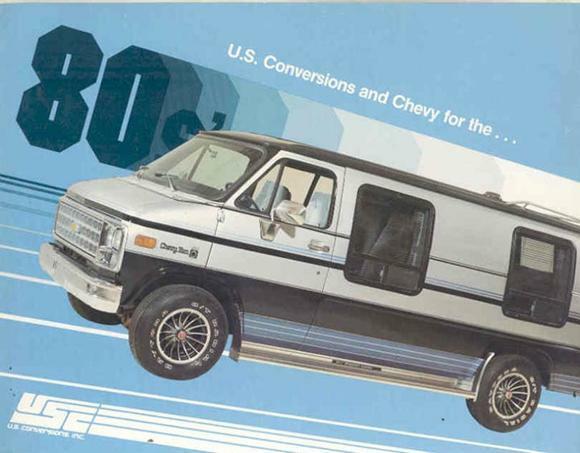 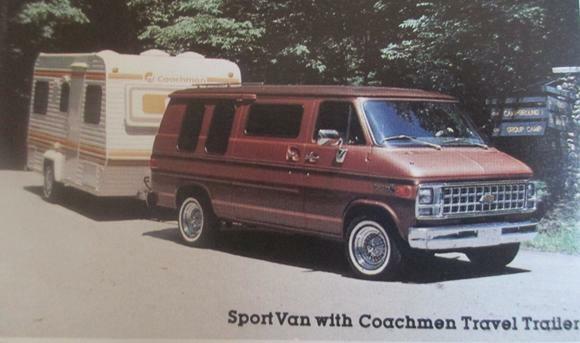 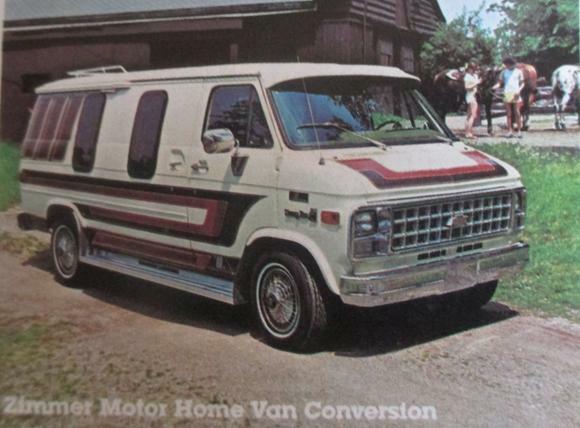 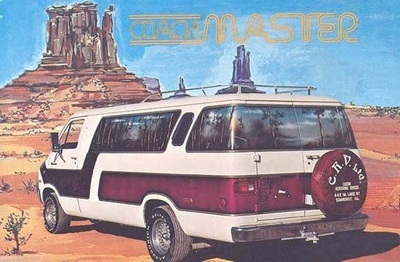 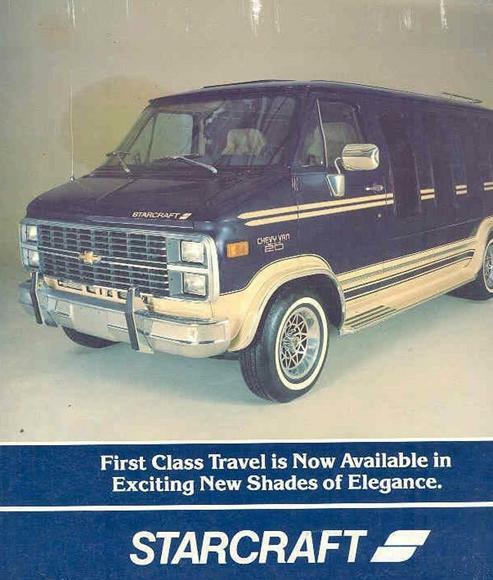 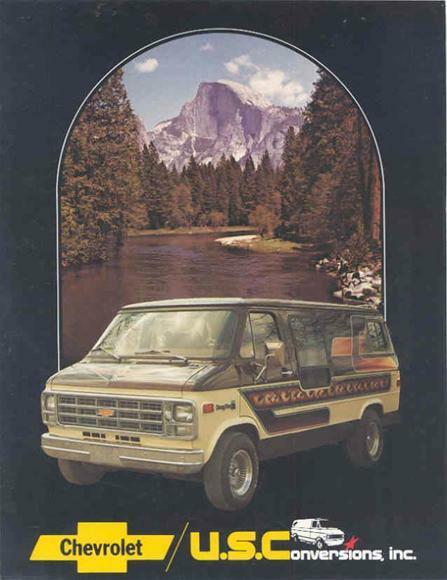 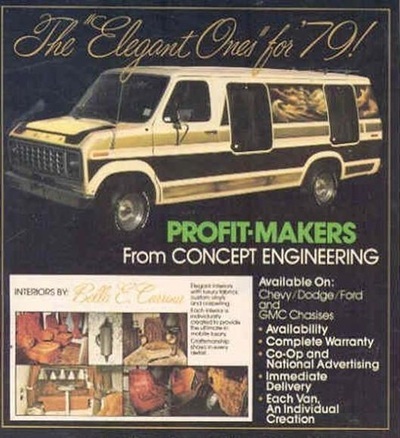 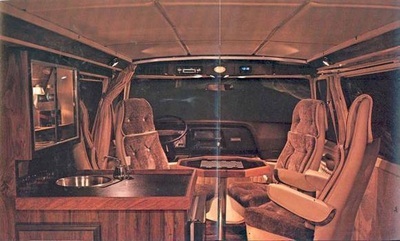 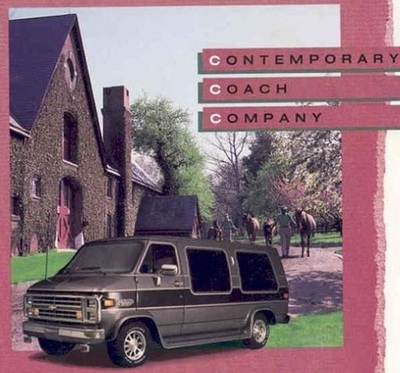 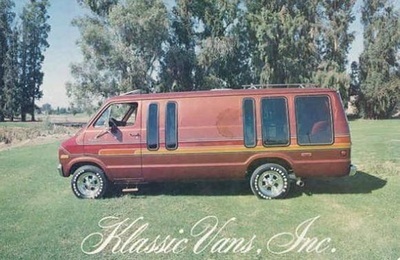 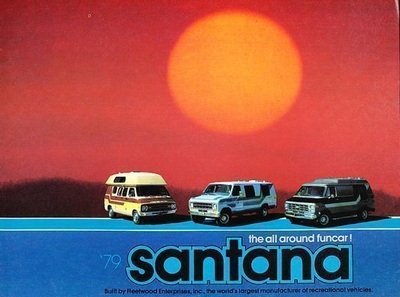 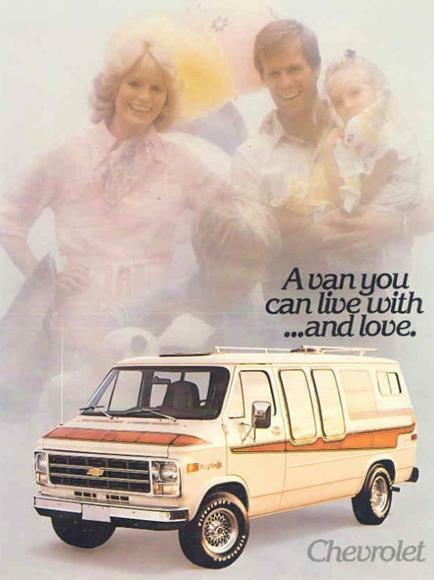 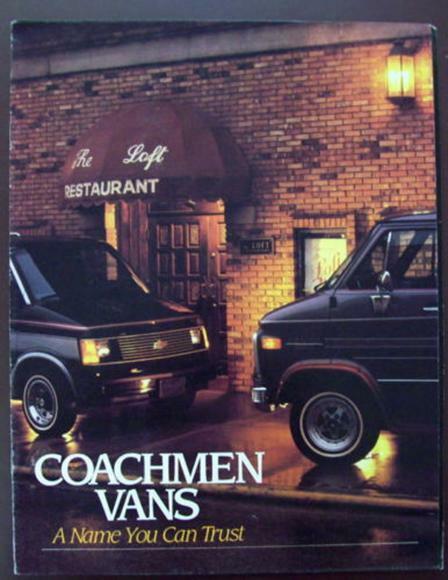 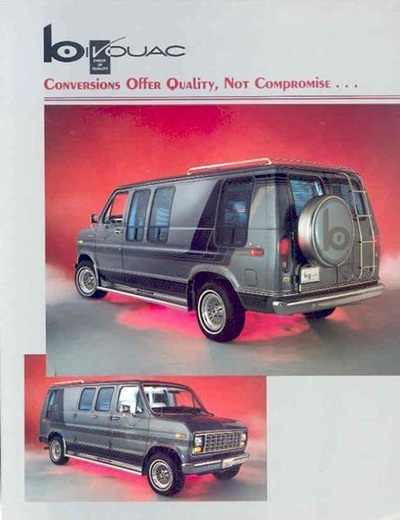 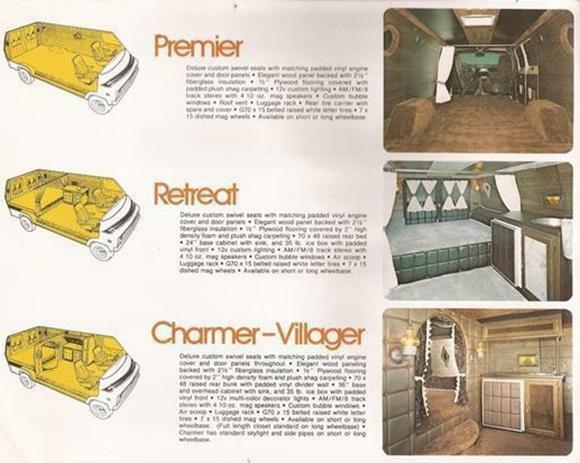 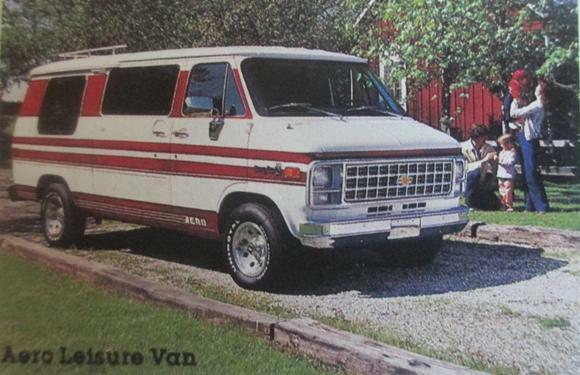 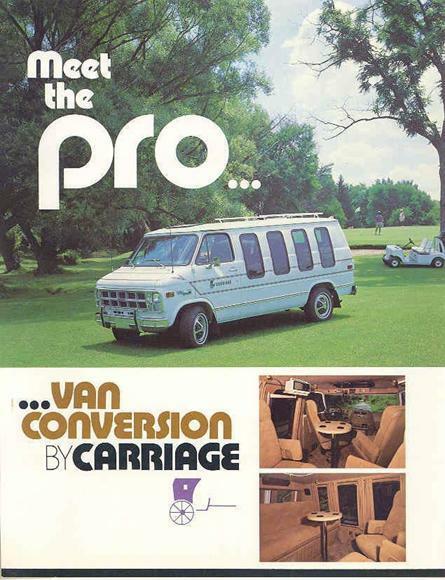 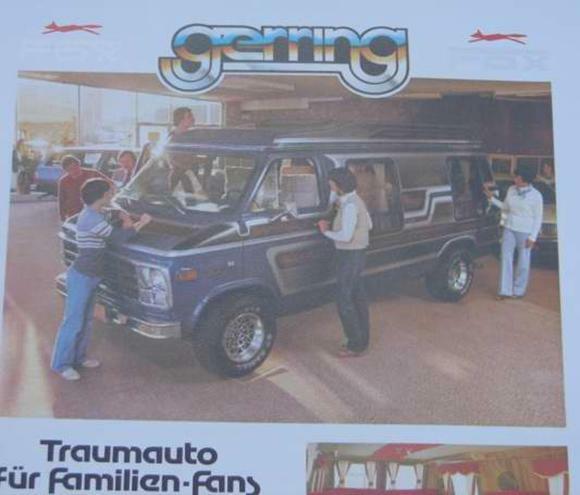 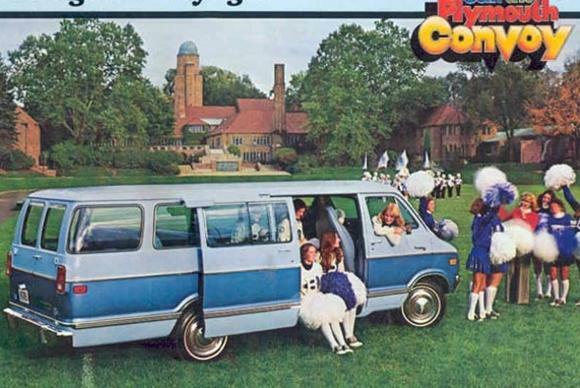 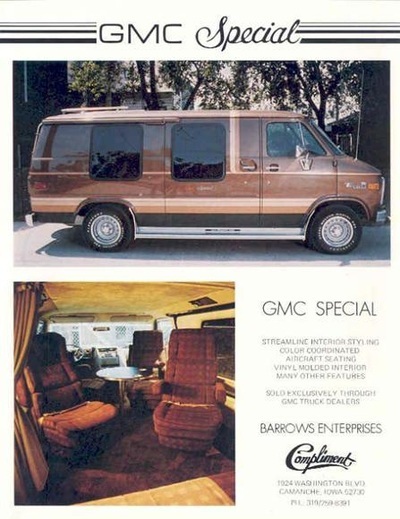 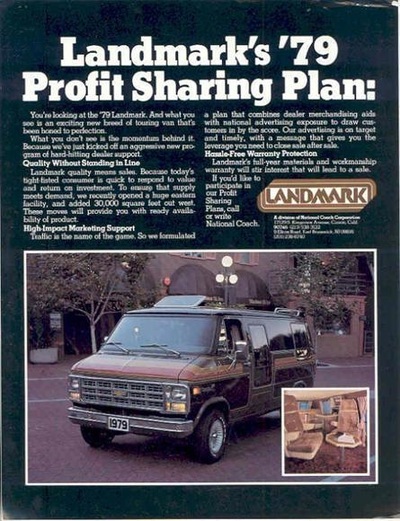 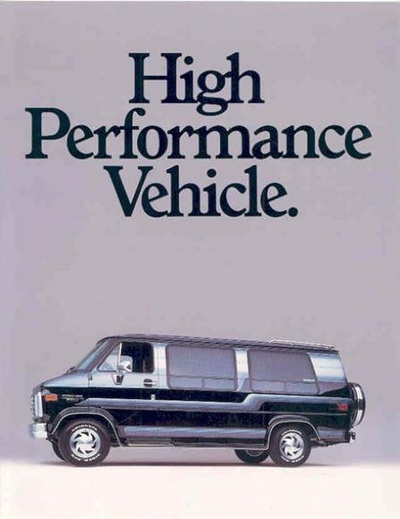 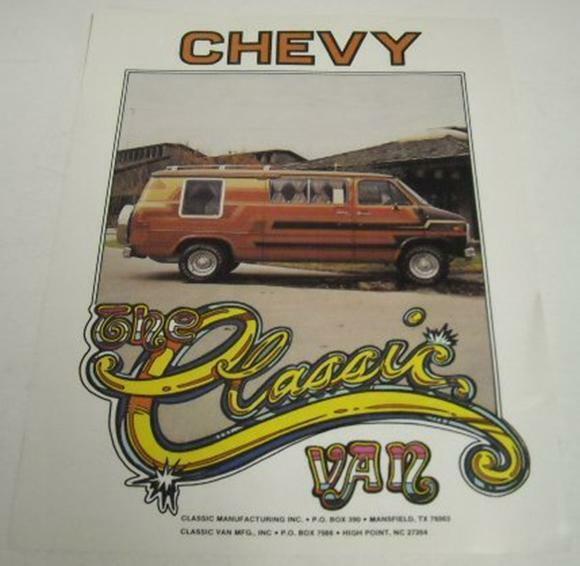 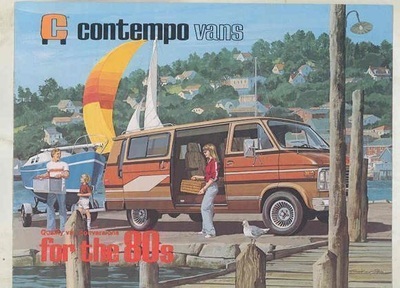 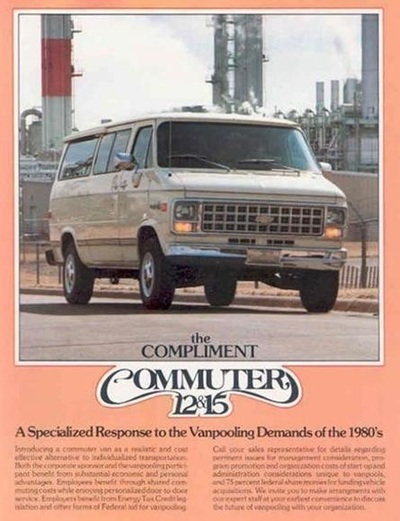 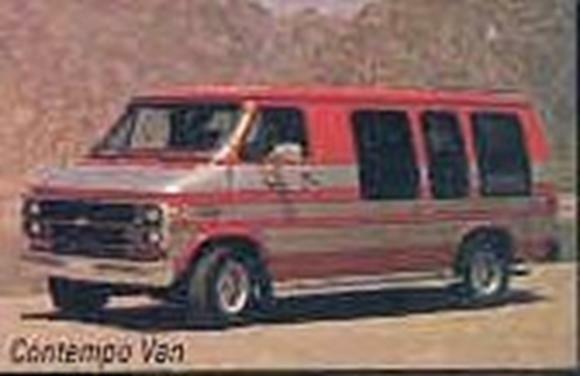 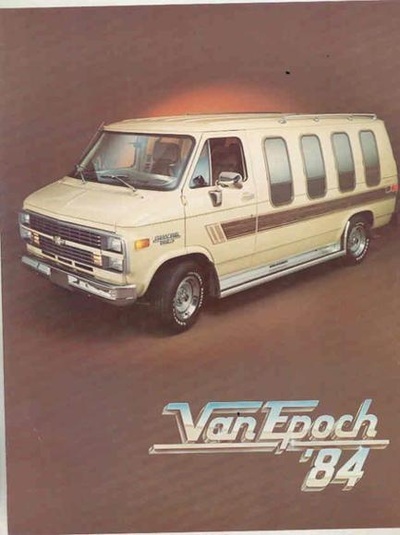 Van conversion companies/ Van Converters (first wave of van popularity in the mid to late 1970s) are the people responsible for seeing that they’re fitted with stylish bay windows, or high-backed swivel reclining easy chairs or bucket seats, color-coordinated carpeting and upholstery, extra sound insulation, accent striping, or plush appointments aimed at making traveling more pleasurable. 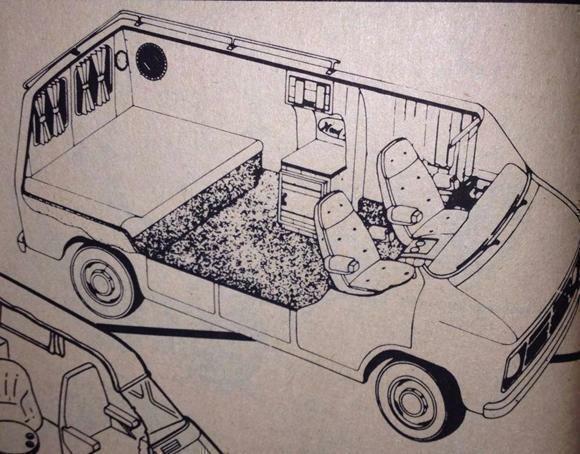 The interior is relatively quiet so that you can talk without shouting. 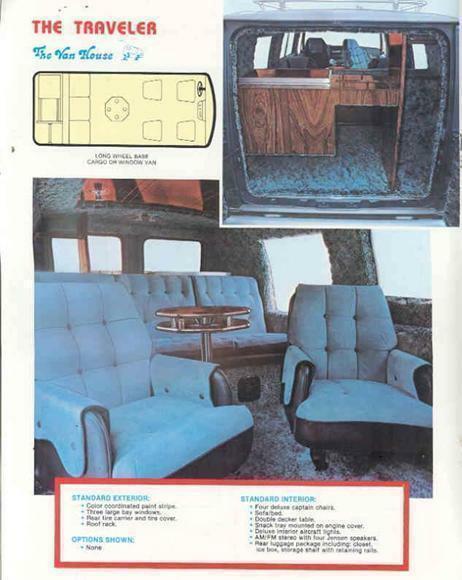 You and the passengers want to look out the windows at passing scenery, but you don’t want to be on display for everyone else passing by. You want seats that swivel foe easy entrance and exit, or you want a seat that converts to a small bed for naps during trips. 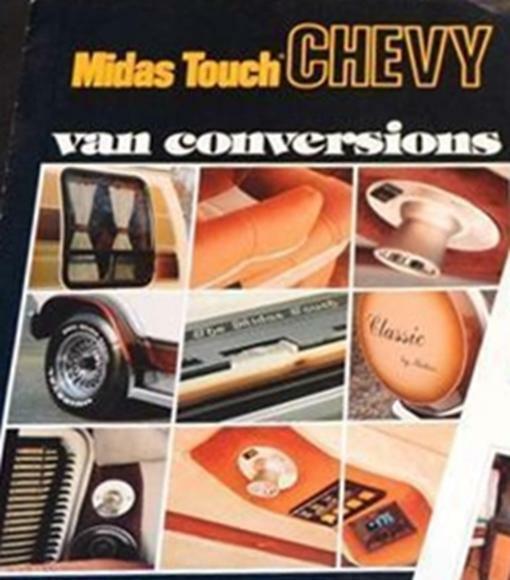 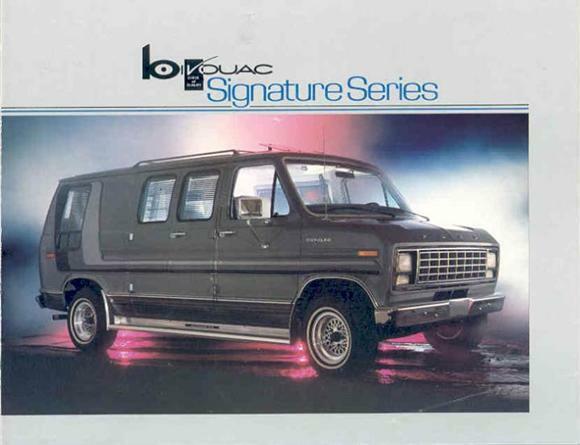 Thousands of possible accessories that can be bolted onto or inserted into or substituted for original equipment on the models rolling out of Detroit. 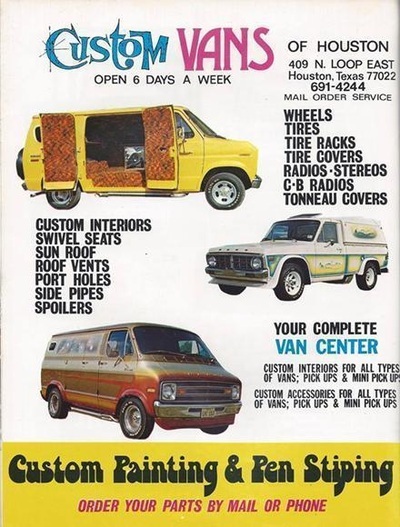 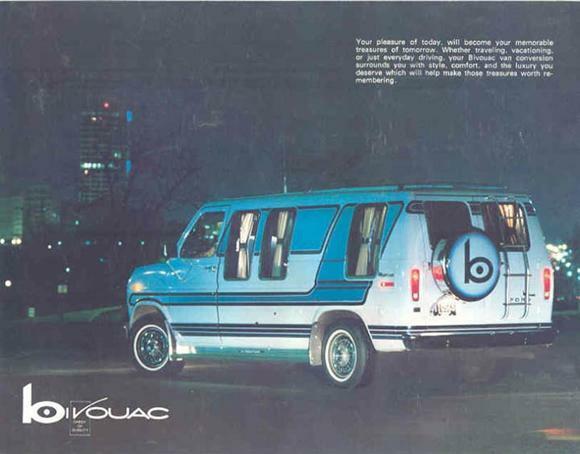 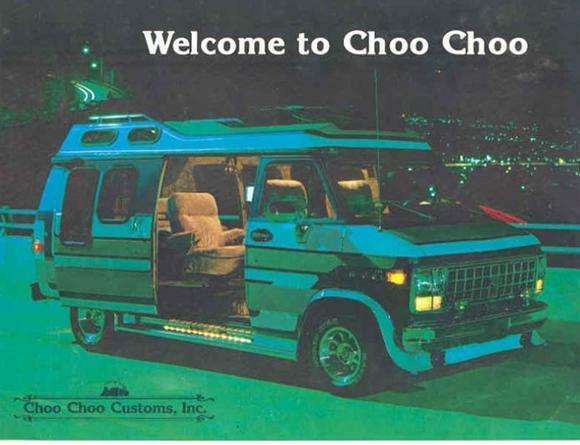 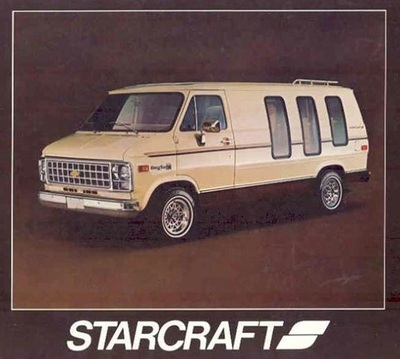 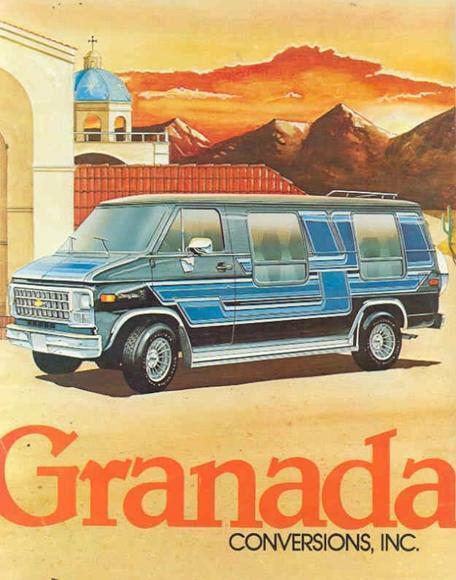 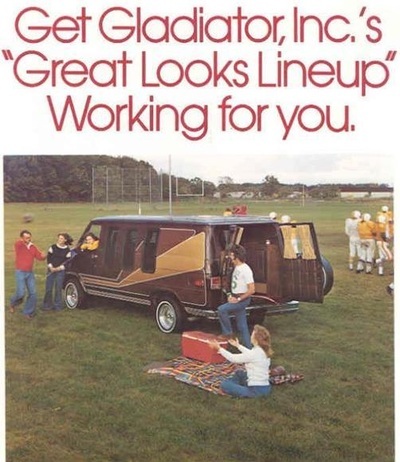 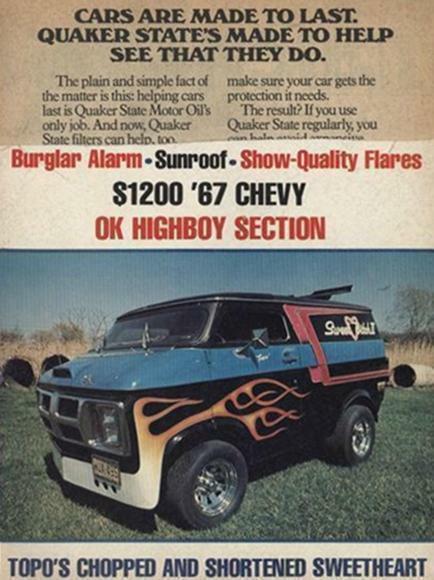 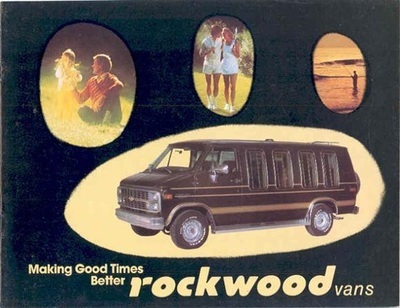 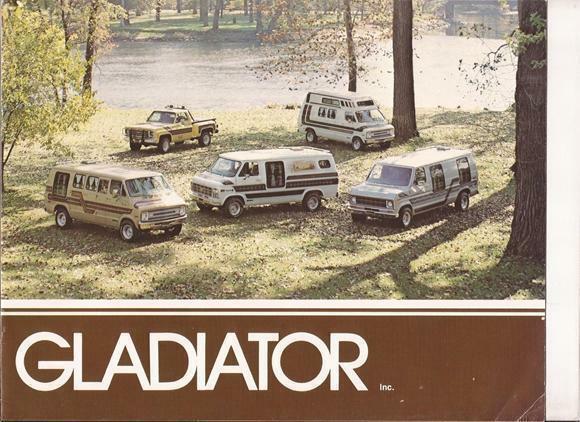 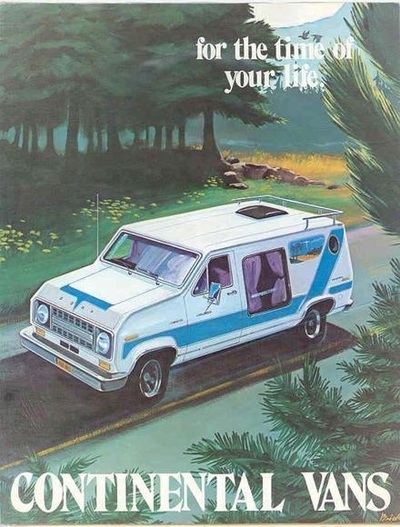 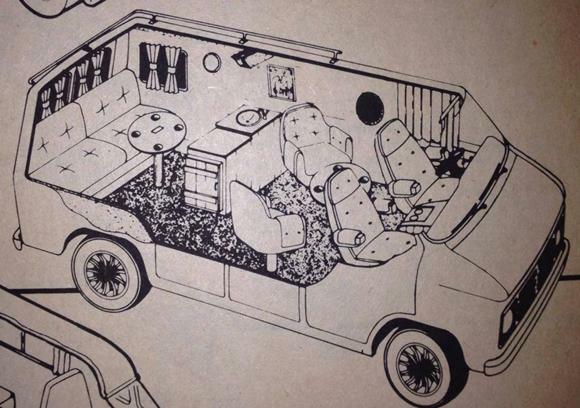 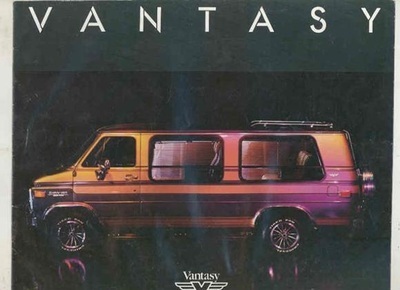 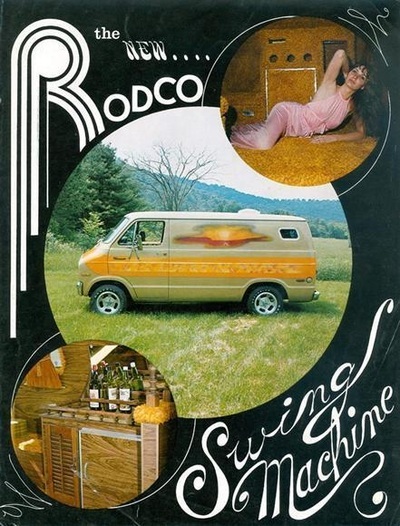 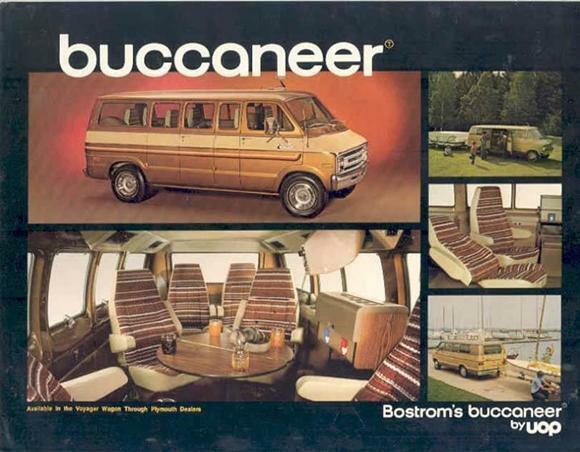 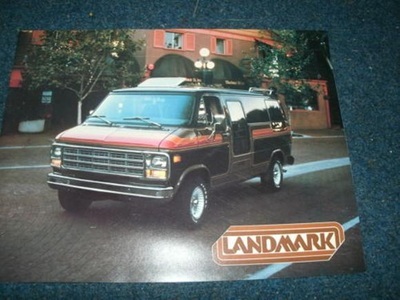 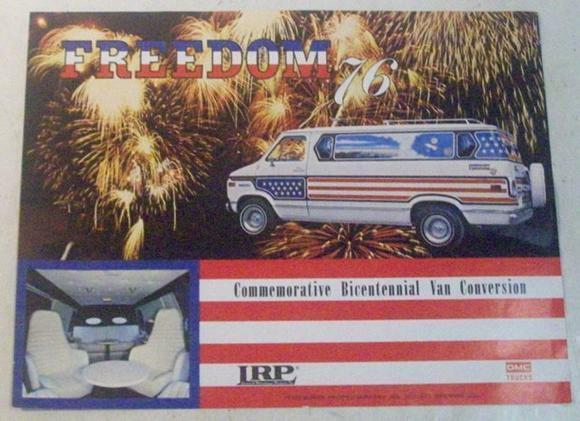 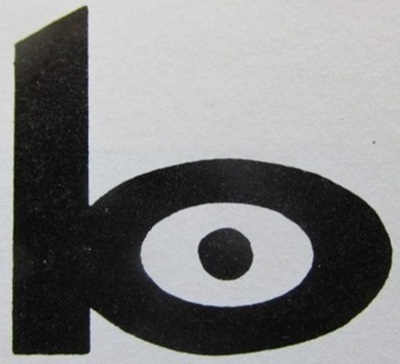 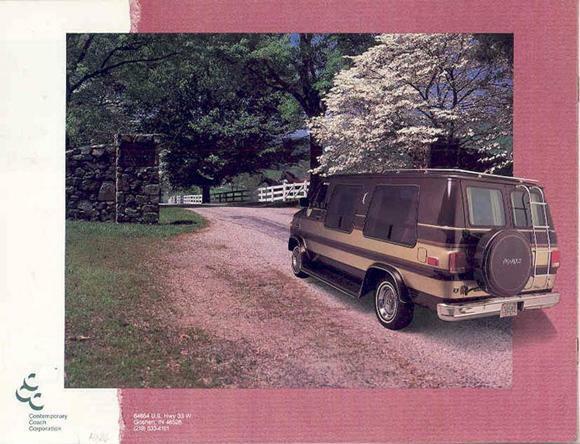 In fact, the odds are almost perfect that if you’re seen something, somewhere, that you would like to see incorporated into the decor of a van.